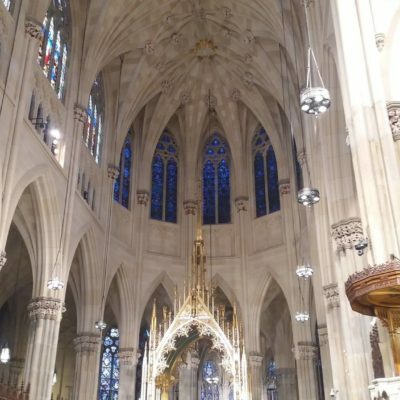 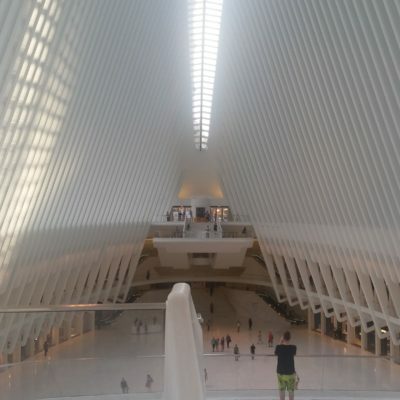 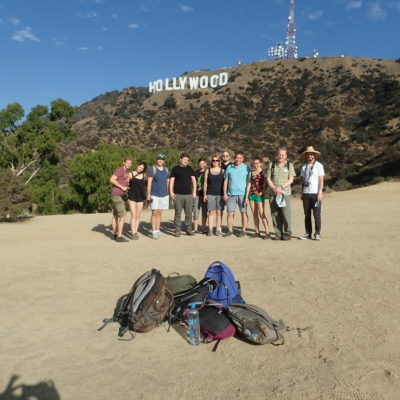 In our photo gallery, we offer a broad selection of the photos on this website. 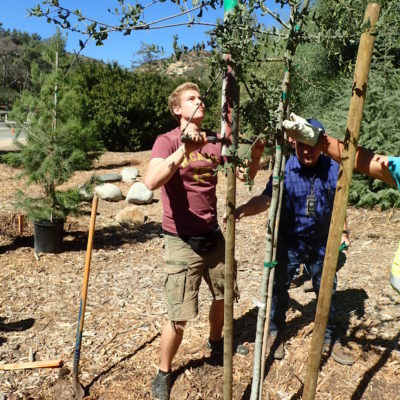 Many are photos documenting foundation projects or events. 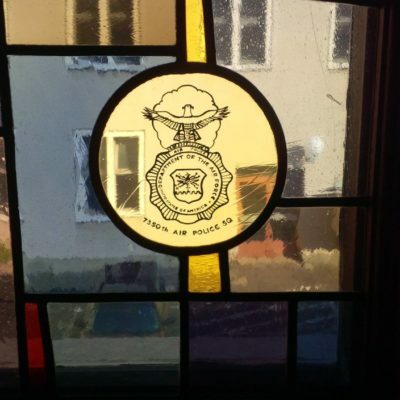 Our historic photo gallery includes photos that have been provided to for publication by third parties and that we think may be of interest for the general public. 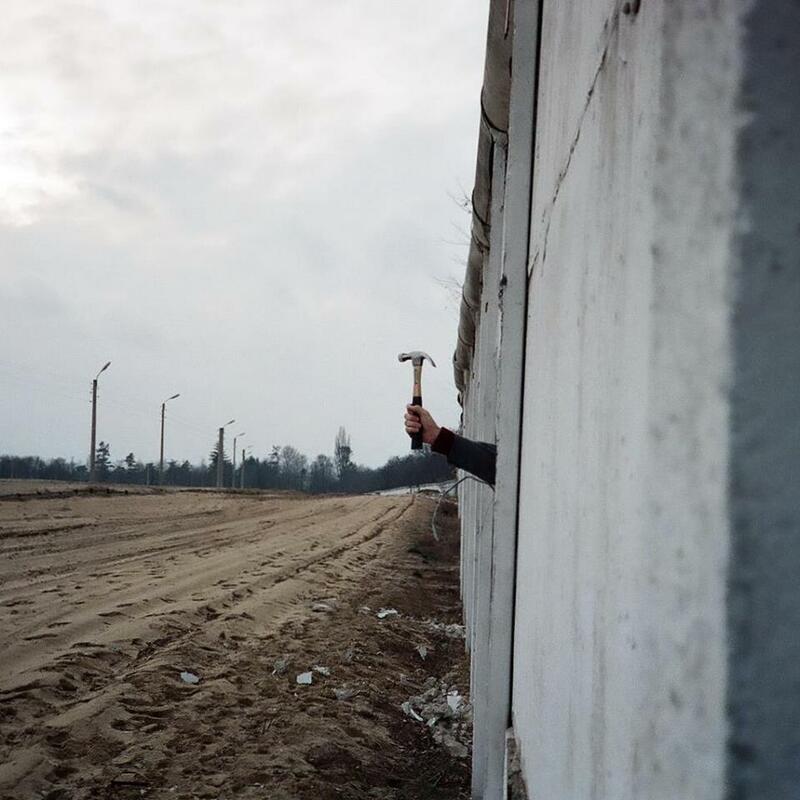 The Berlin Wall has now been down for more than 10316 days – longer than it stood. 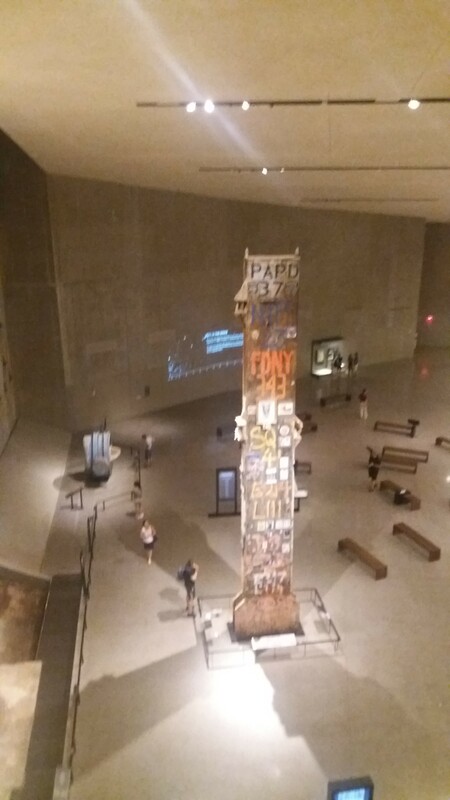 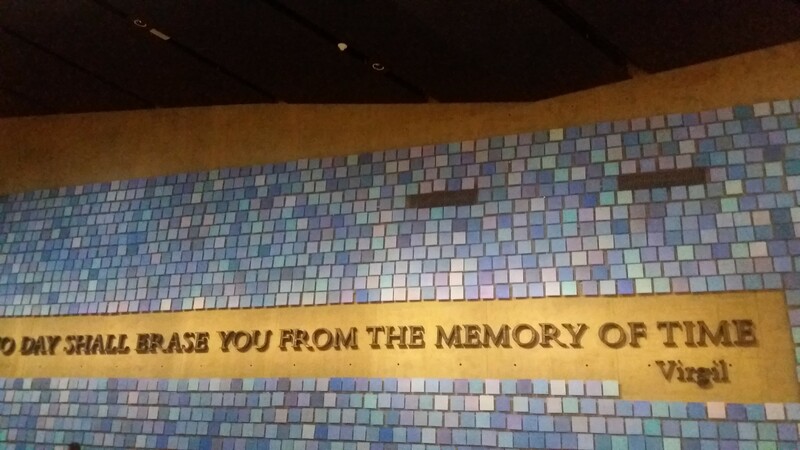 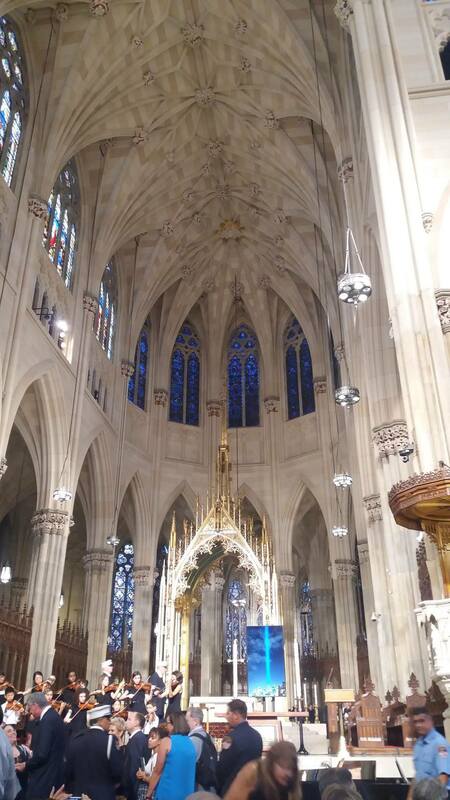 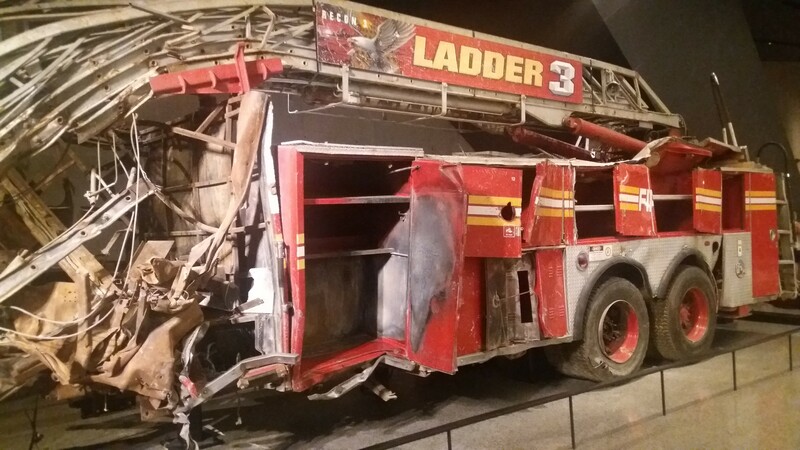 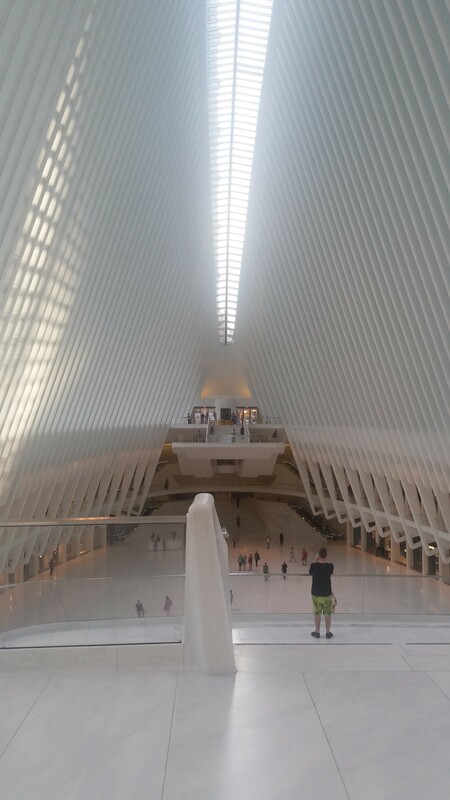 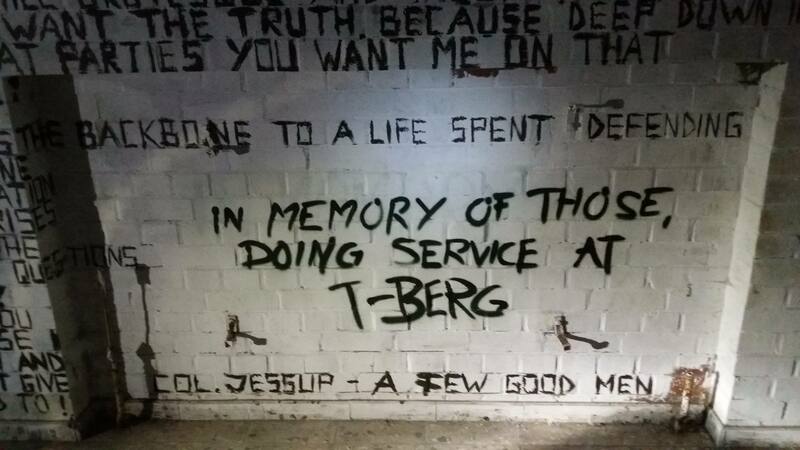 This picture was provided to us by Michael Dunn, a participant in our Welcome Home Program, who was just a young GI stationed in Berlin. 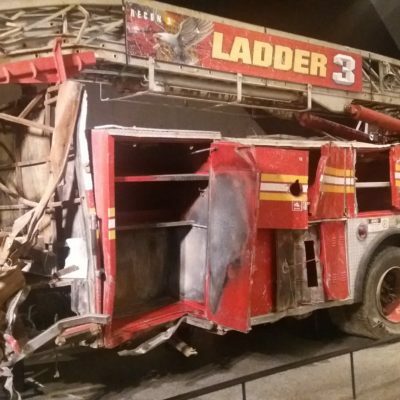 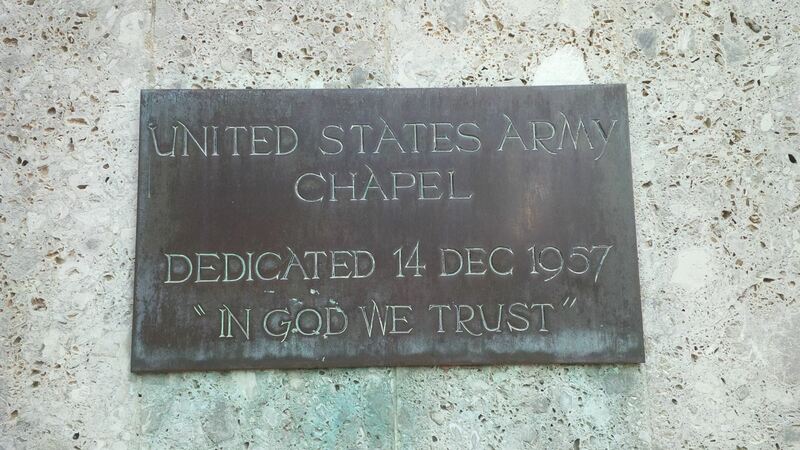 You can see more historic photos here. 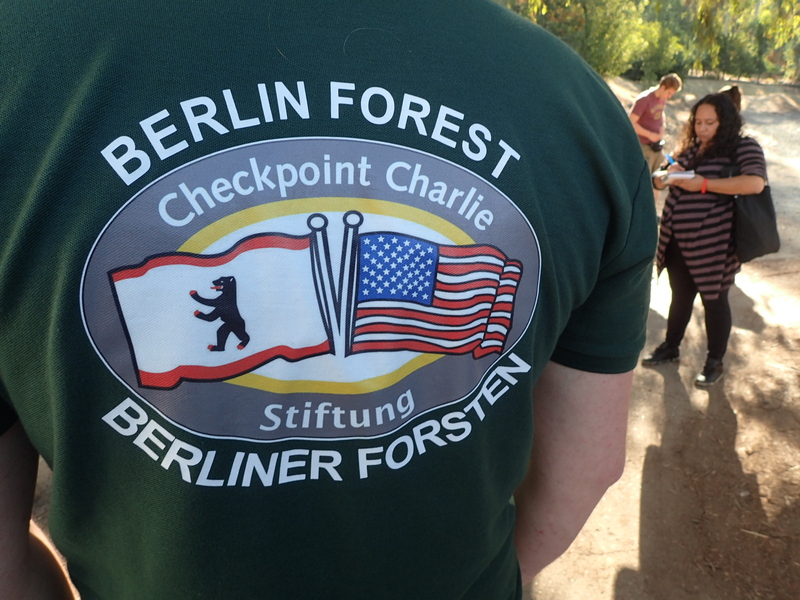 Michael Dunn, a young American soldier stationed in West Berlin, pokes his hand through the open Berlin Wall in 1989. 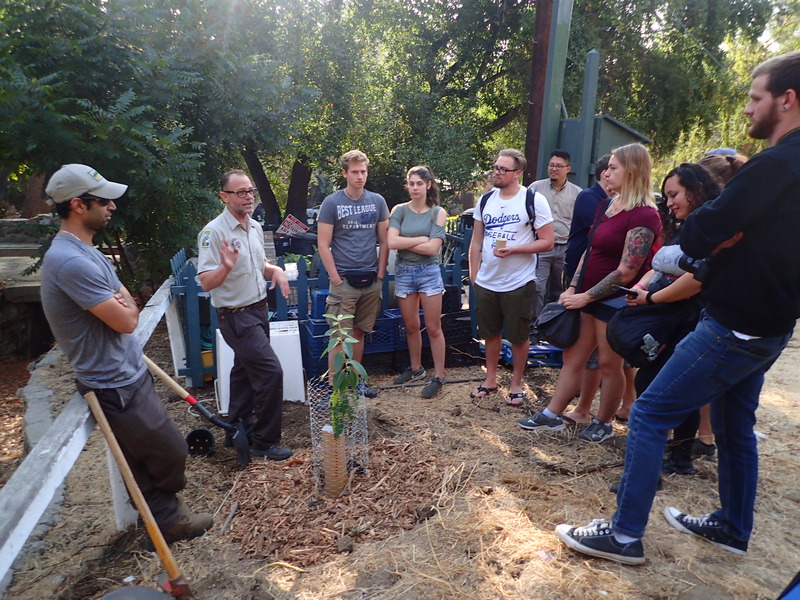 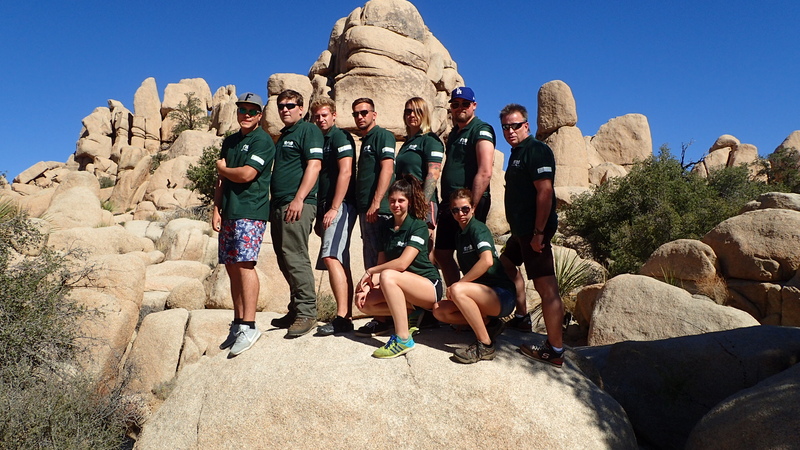 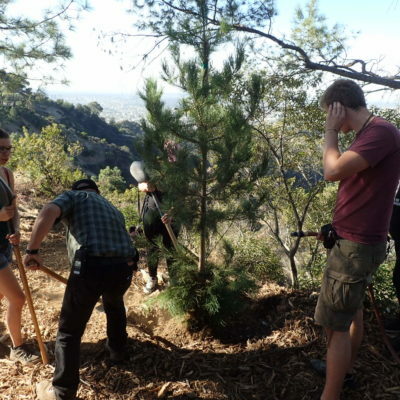 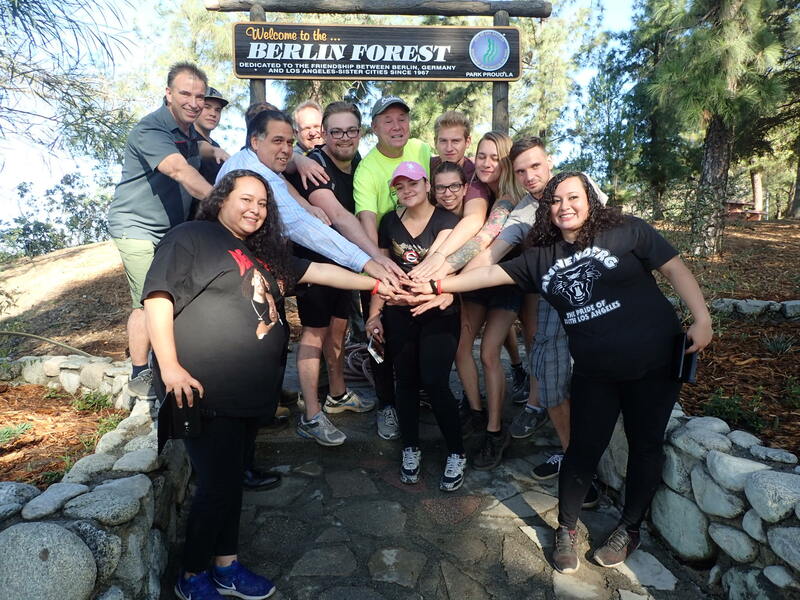 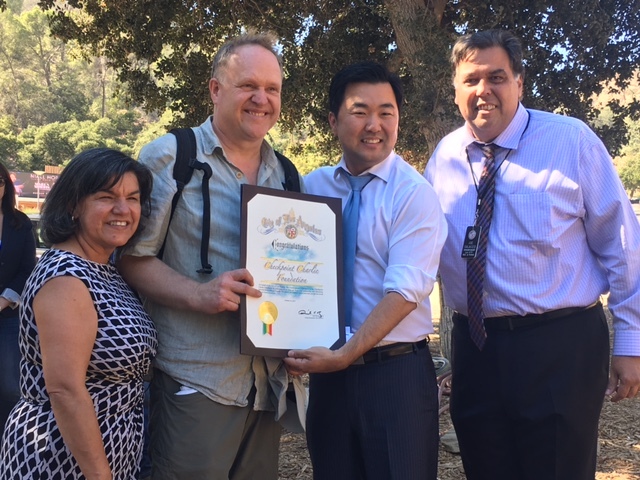 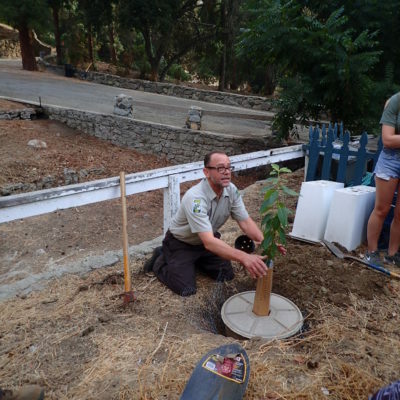 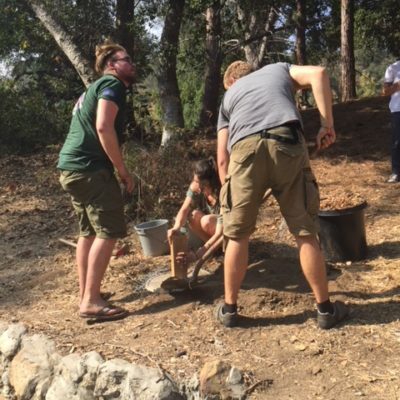 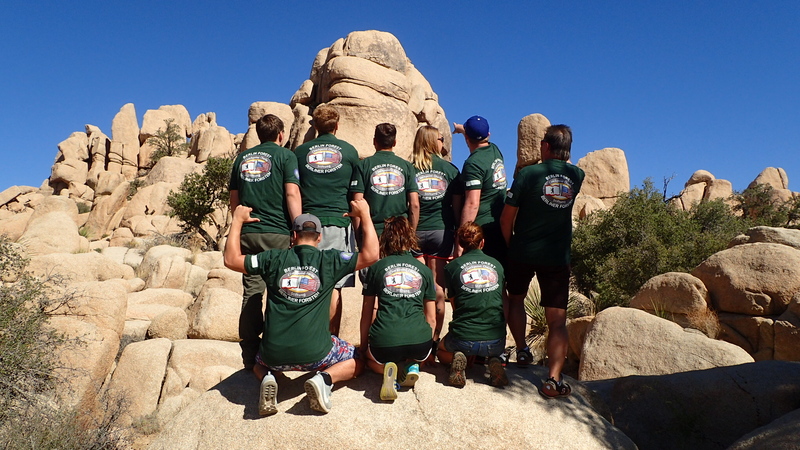 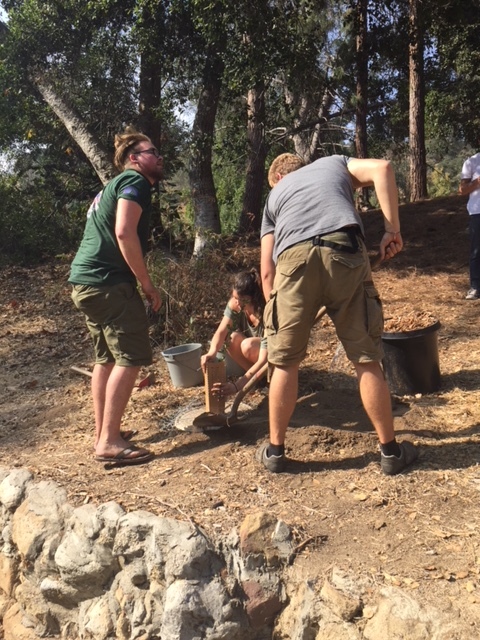 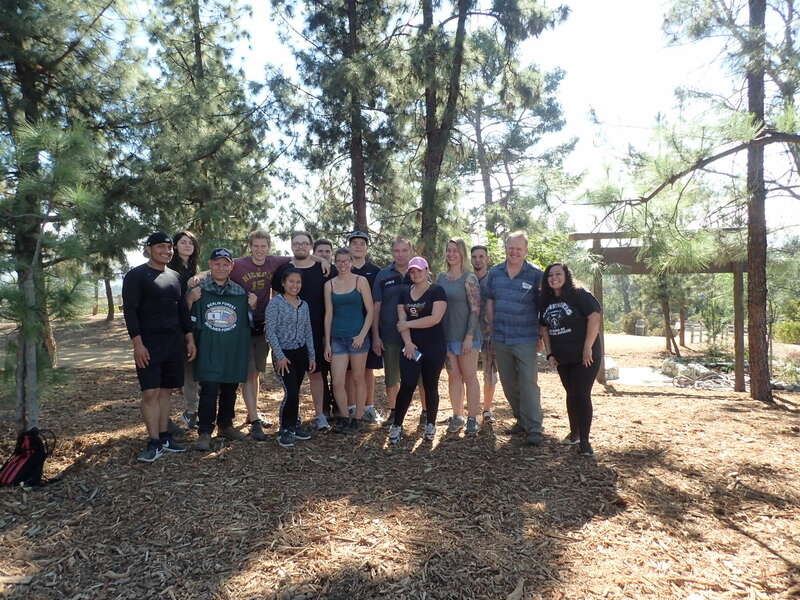 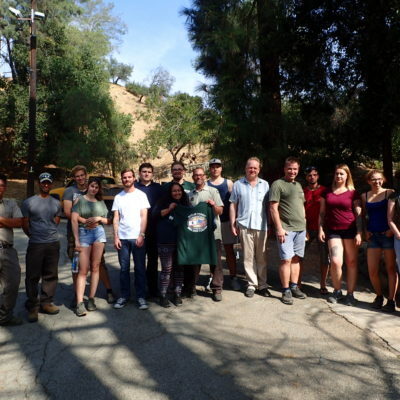 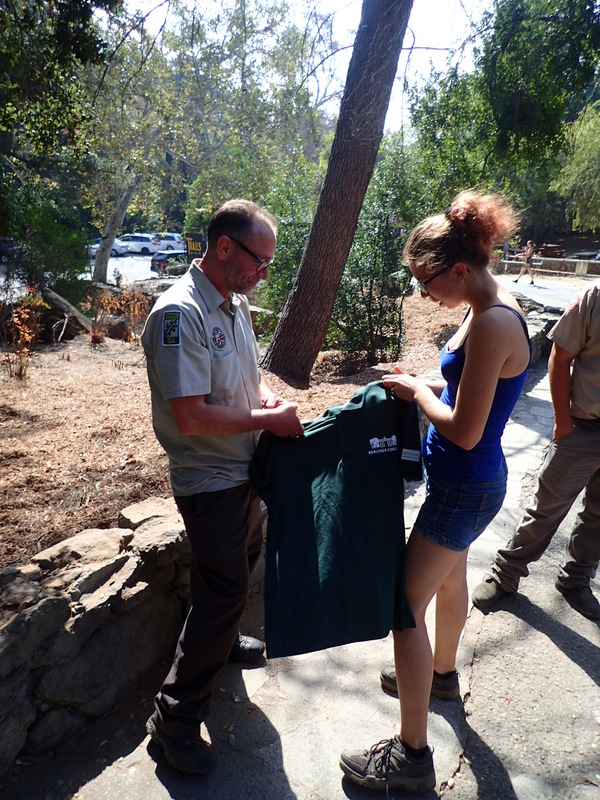 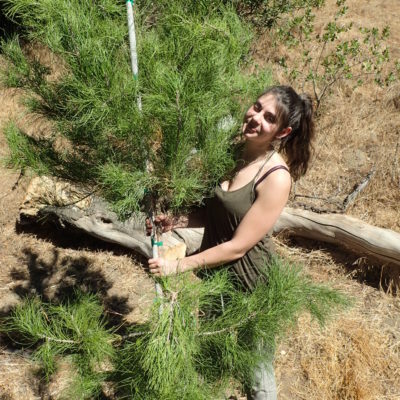 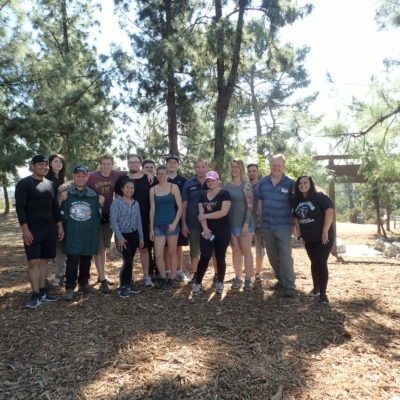 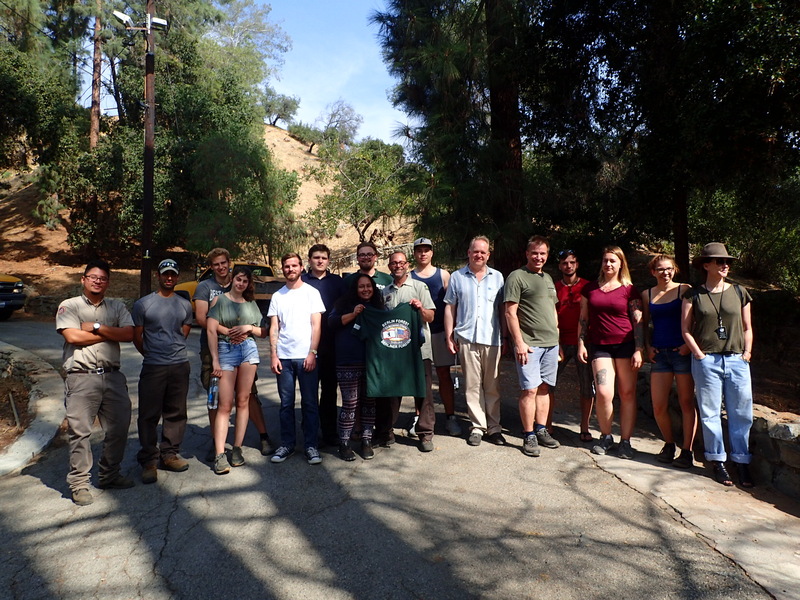 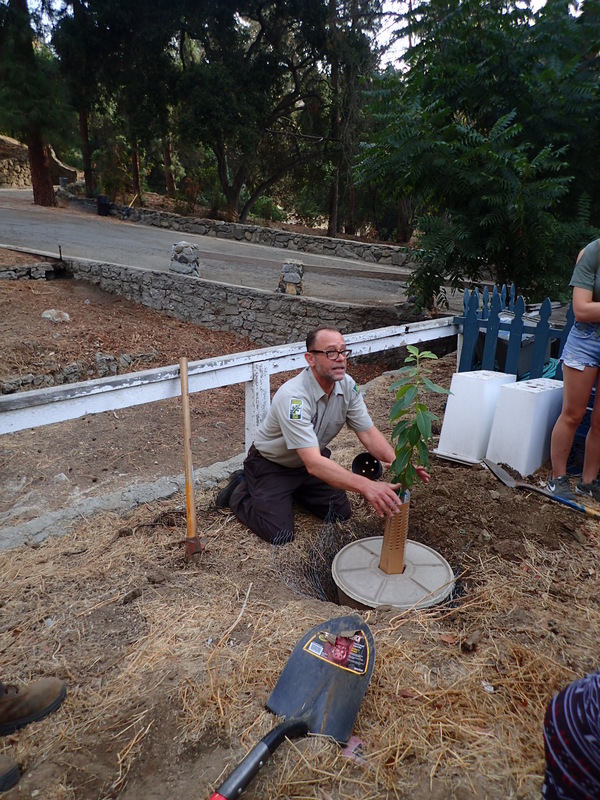 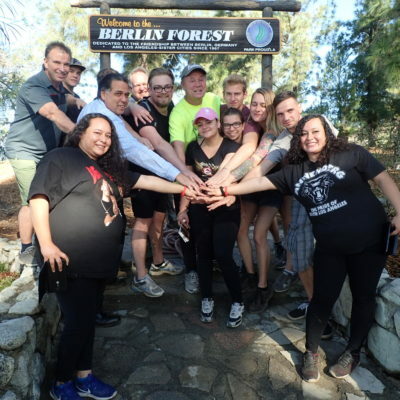 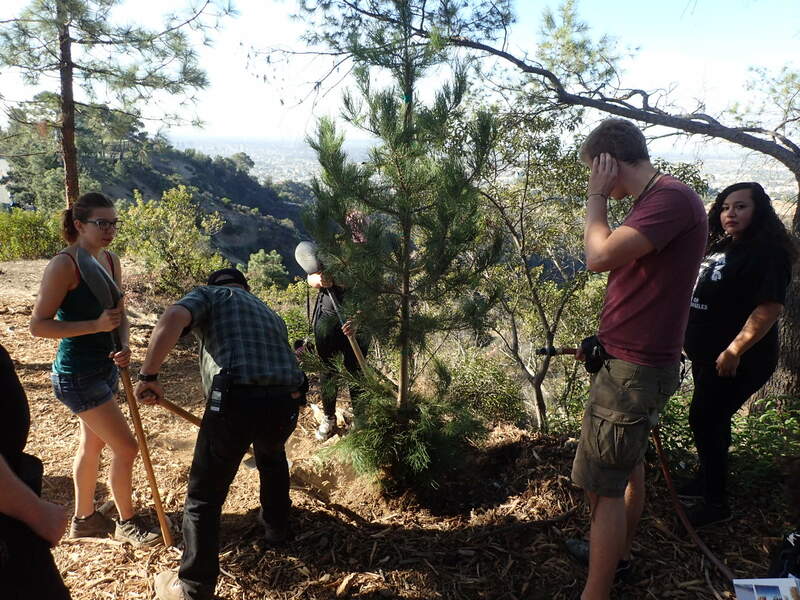 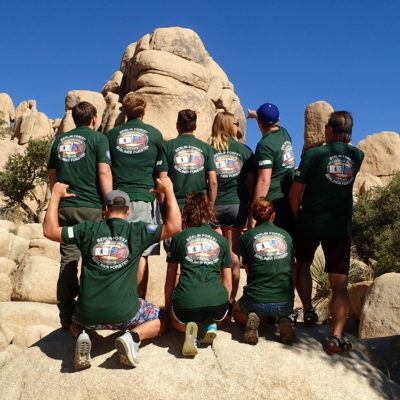 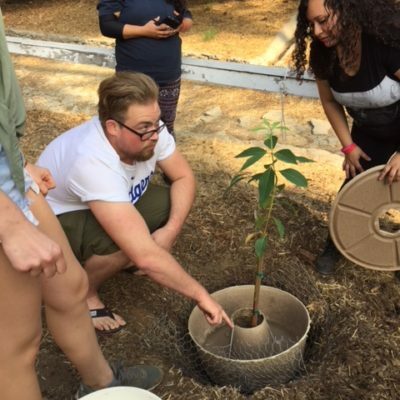 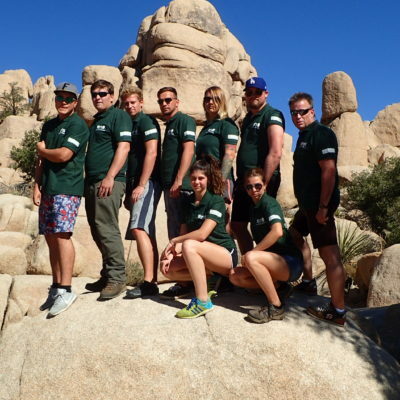 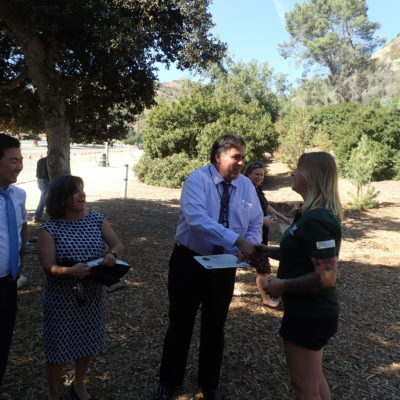 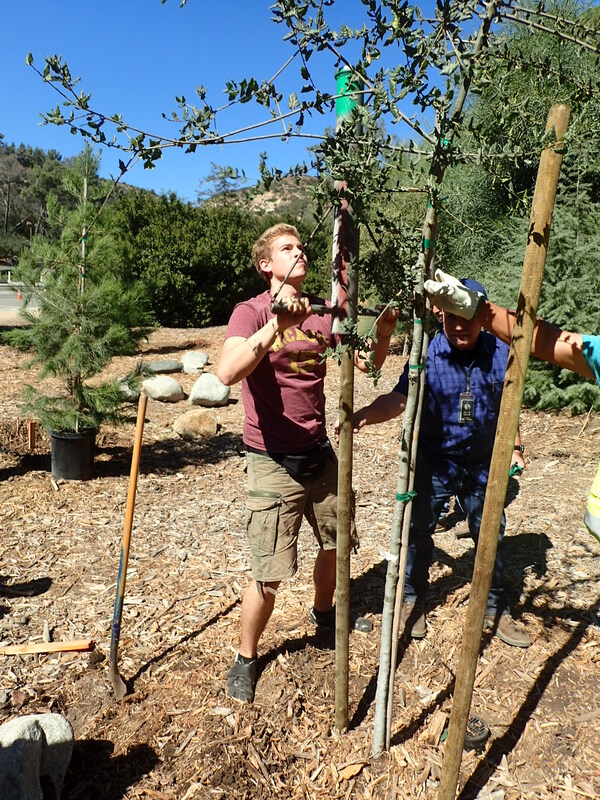 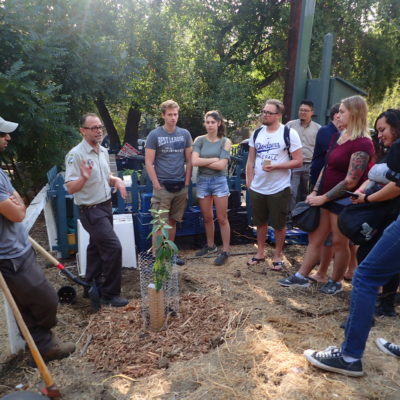 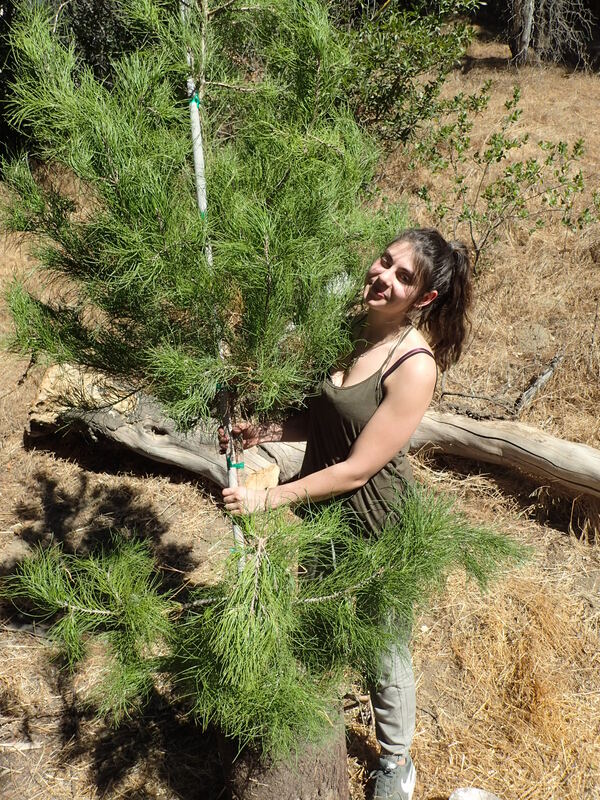 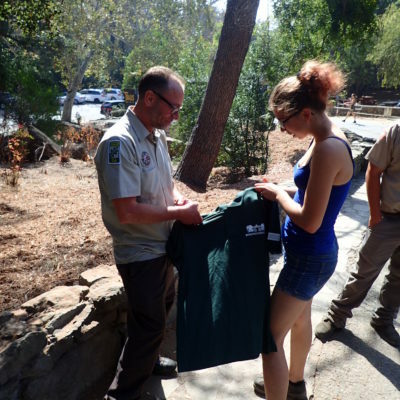 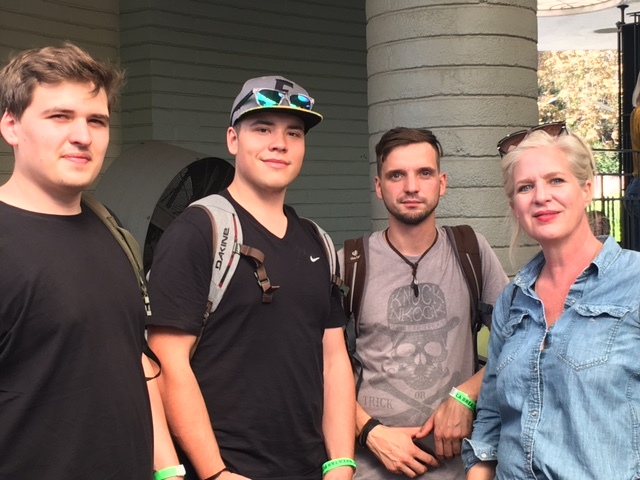 In 2017, eight Berlin forestry apprentices and two trainers visited Los Angeles to mark the 50th anniversary of the Los Angeles-Berlin Sister City relationship. 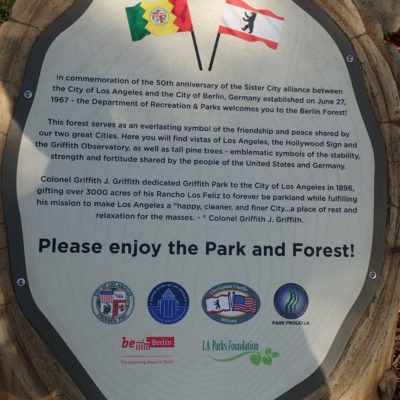 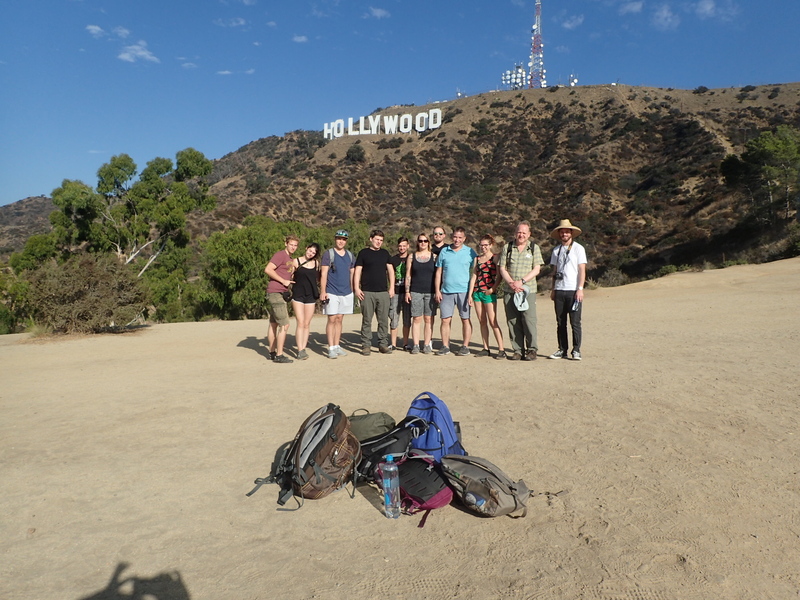 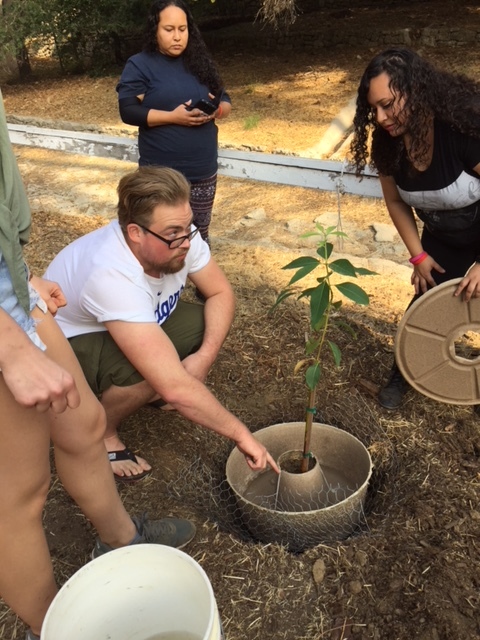 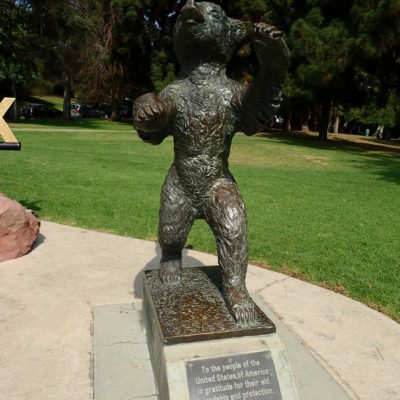 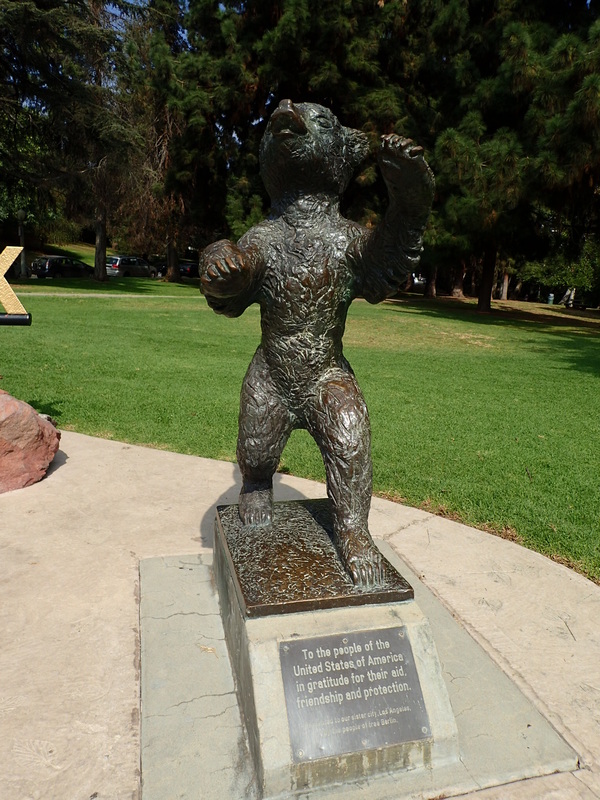 Staying with host families near Griffith Park, the students worked with the Los Angeles Department of Recreation and Parks to revitalize the forest and visited environmental and cultural institutions in the city. 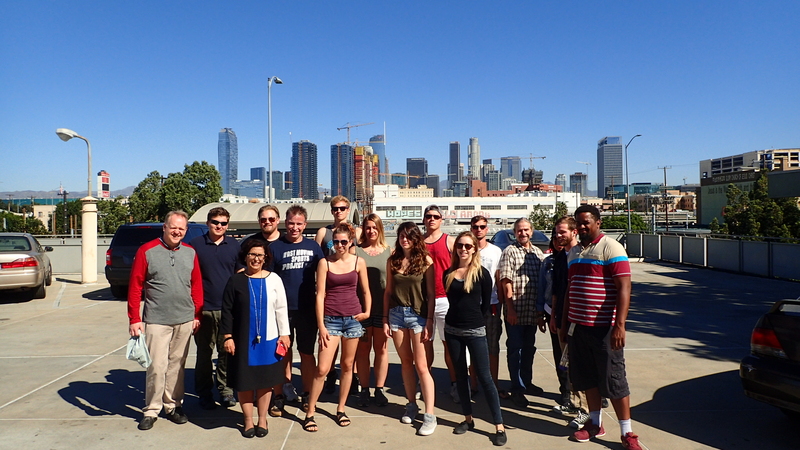 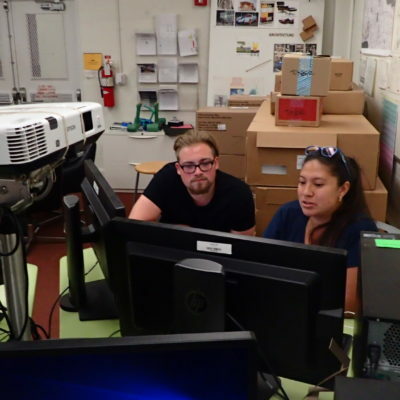 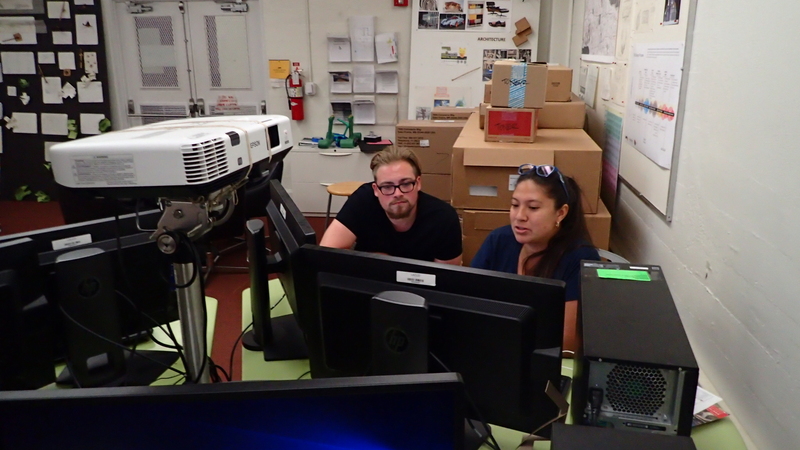 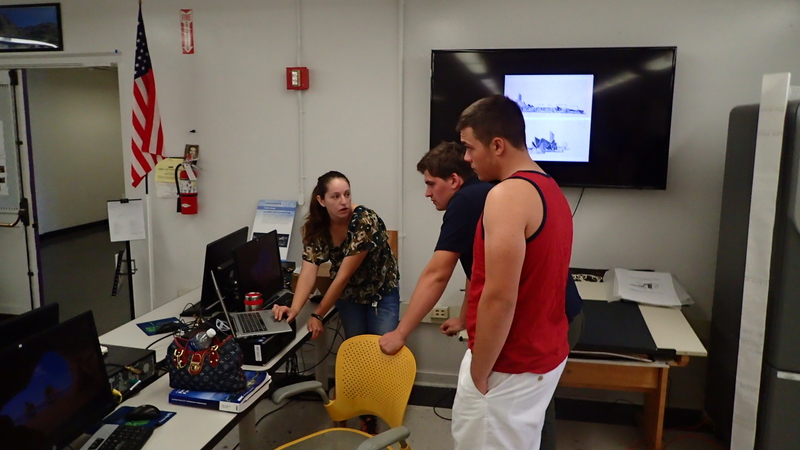 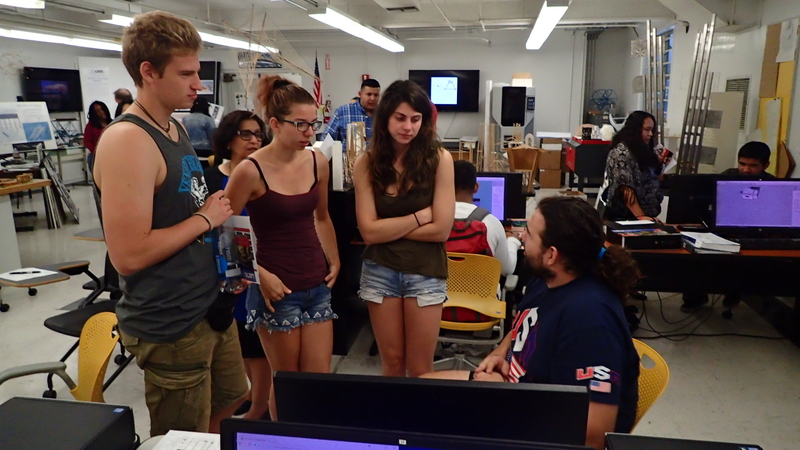 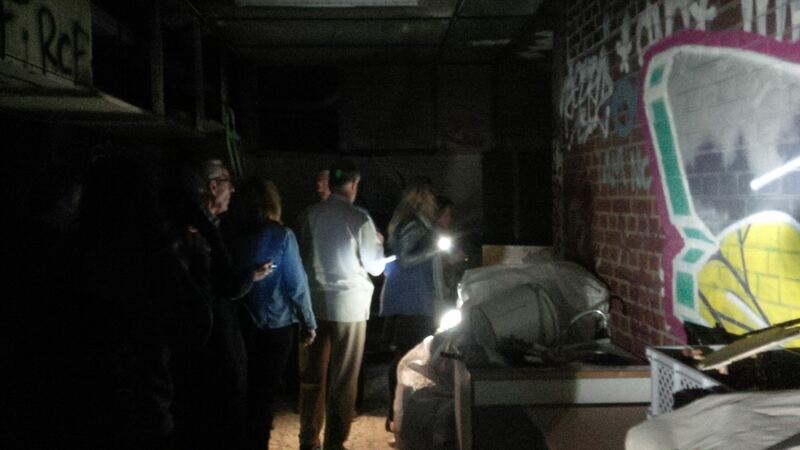 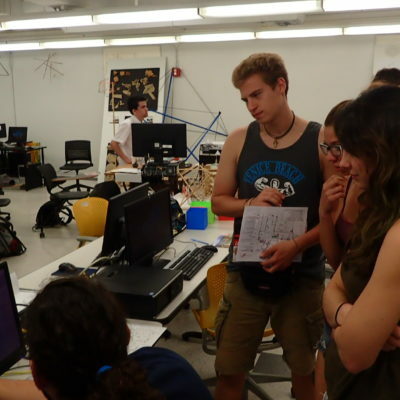 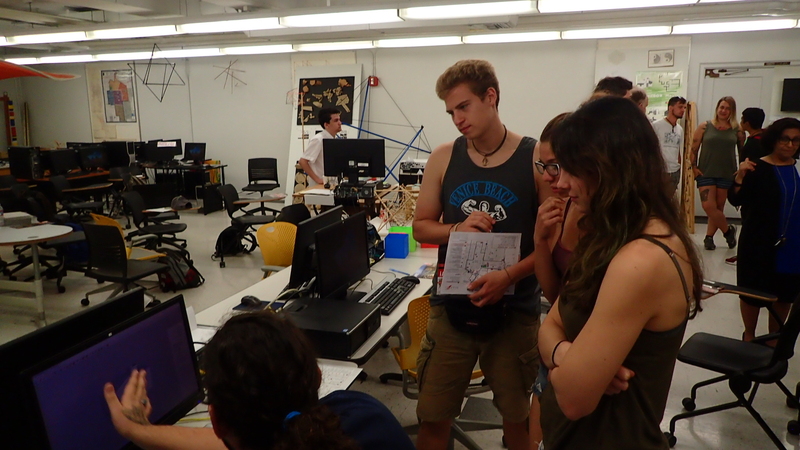 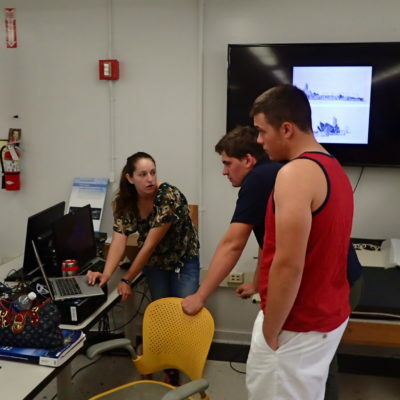 They also spent a project day working together with American students at Los Angeles Trade Technical College (LATTC). 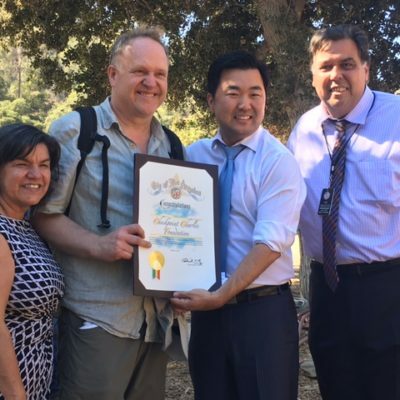 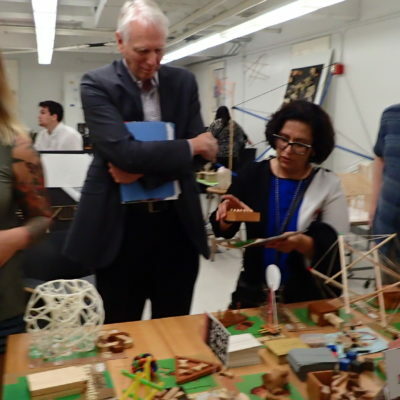 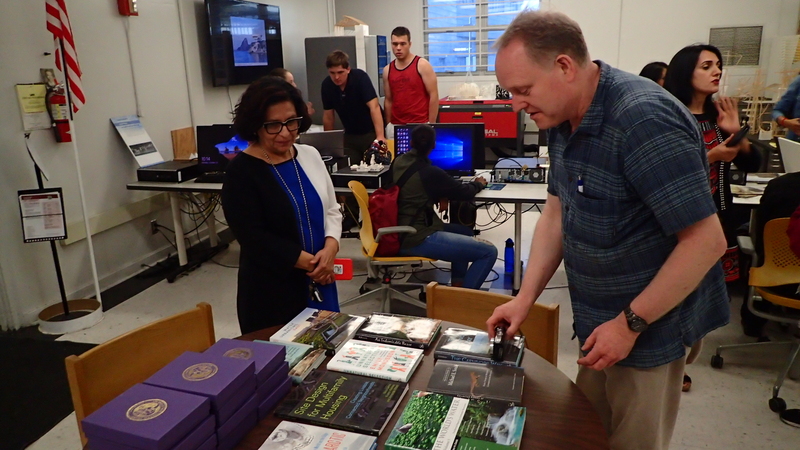 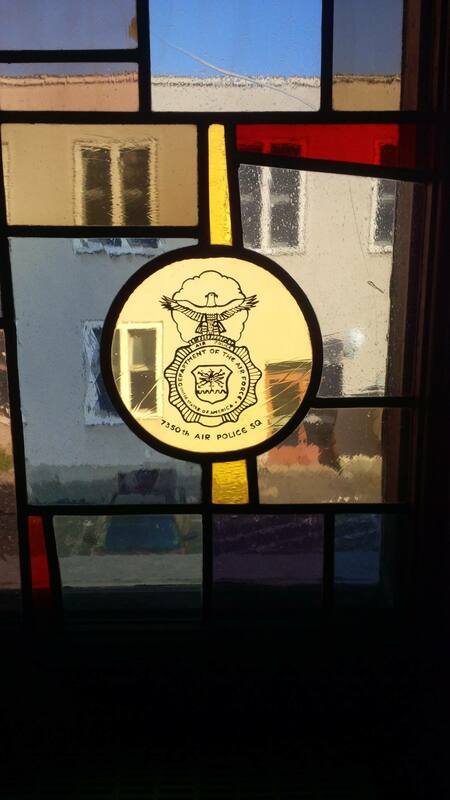 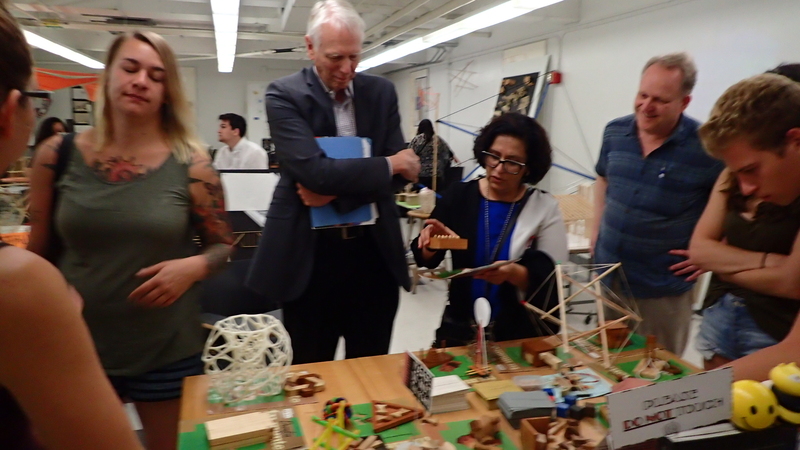 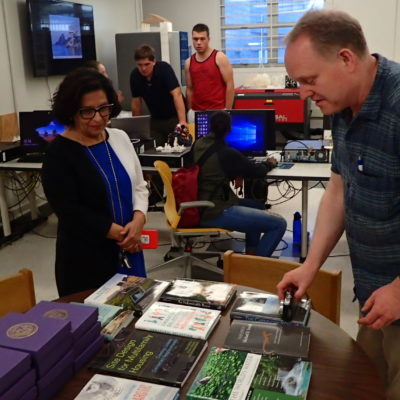 As a result of the project, plans are being made to establish a long-term partnership between the school and an L.A. area college. 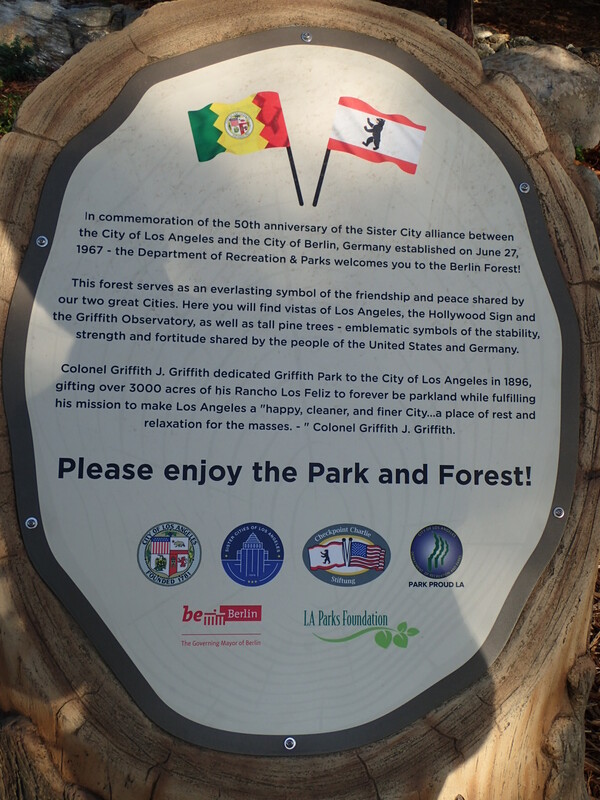 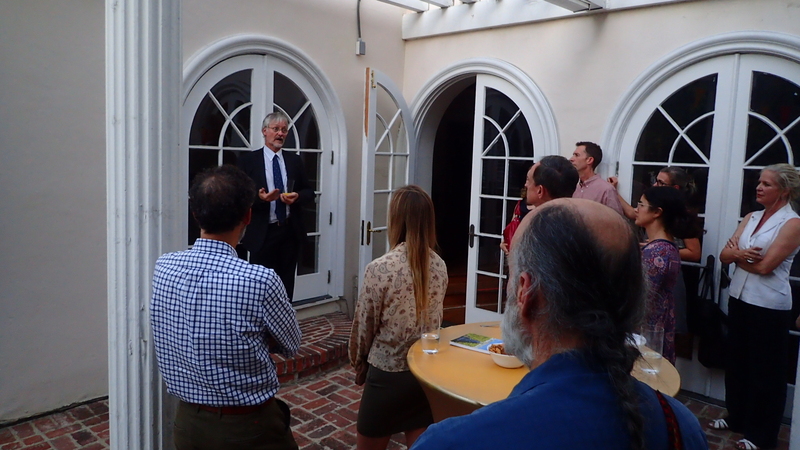 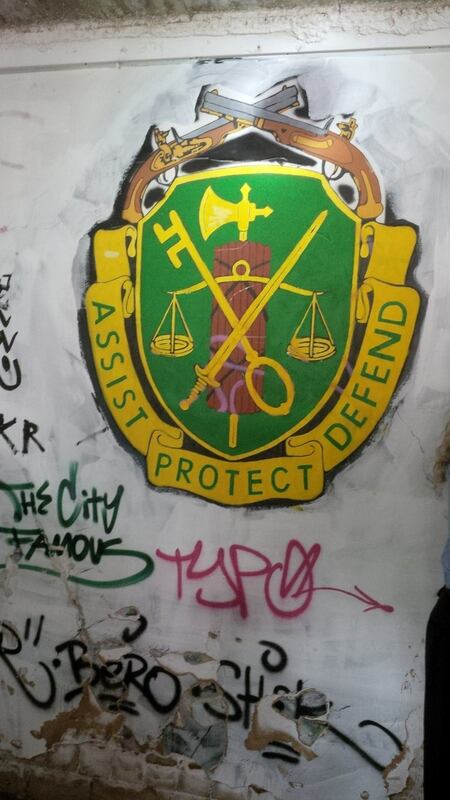 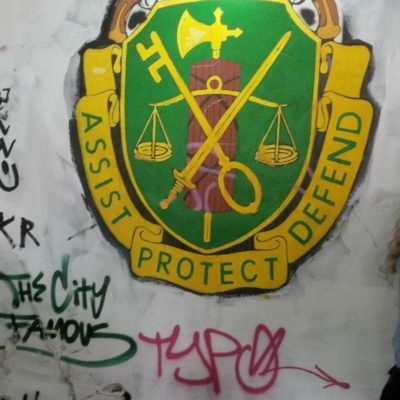 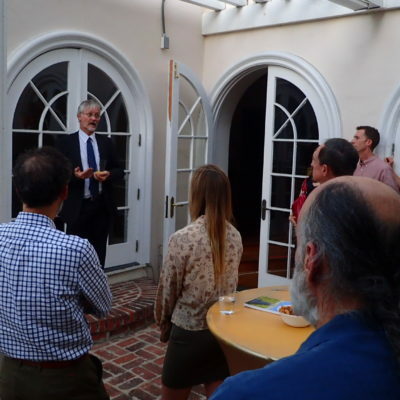 This joint project was a collaboration between the Checkpoint Charlie Foundation, Sister Cities of Los Angeles Inc., LA Dept. 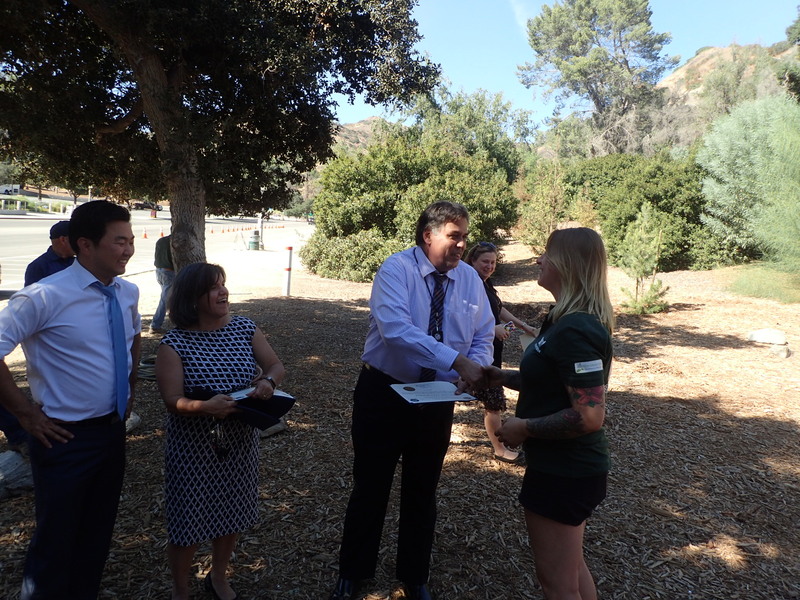 of Recreation and Parks, LATTC ,and the Peter Lenné School. 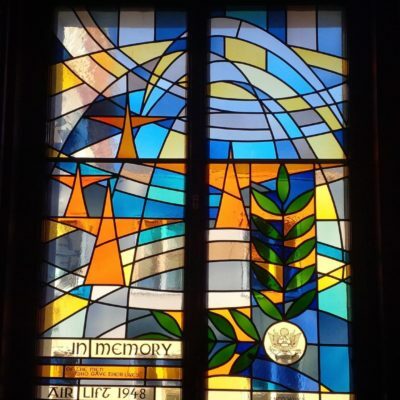 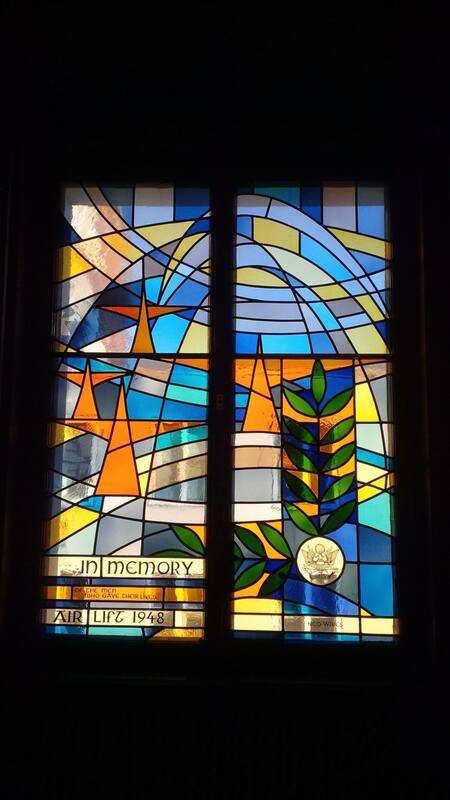 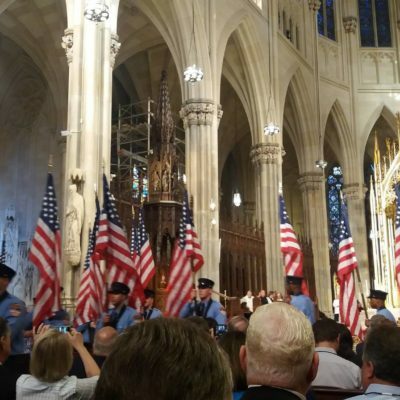 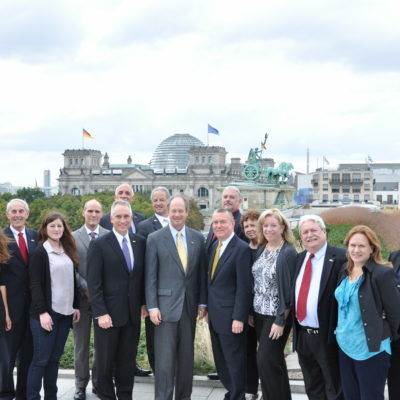 The Welcome Home program was initiated in 2008, the 60th anniversary of the Berlin Airlift, as a tribute to U.S. veterans who served in West Berlin. 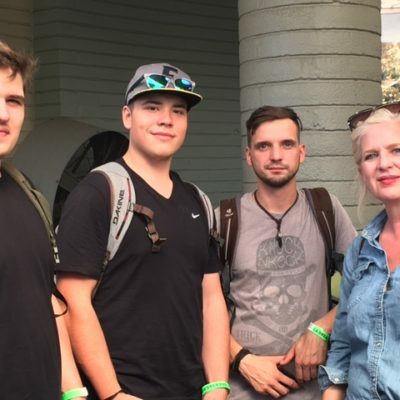 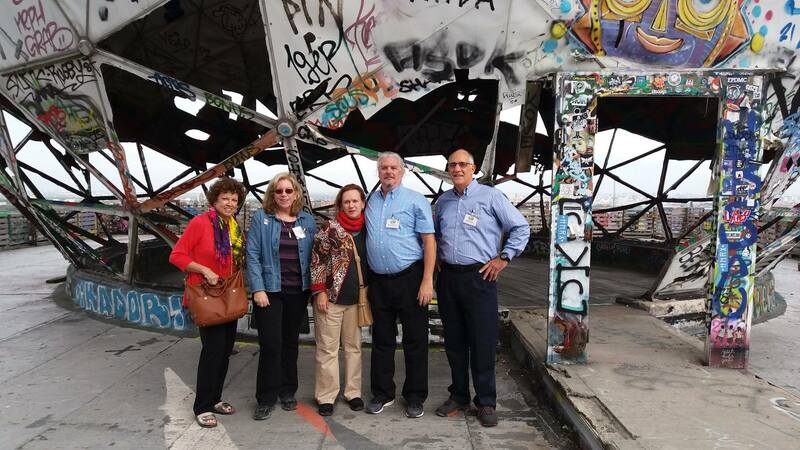 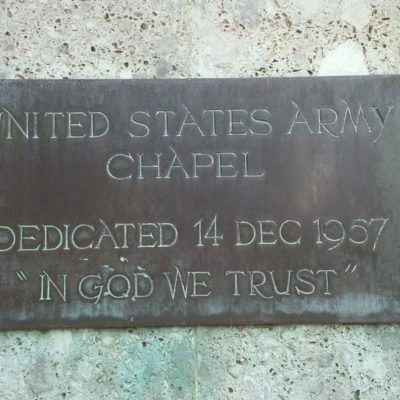 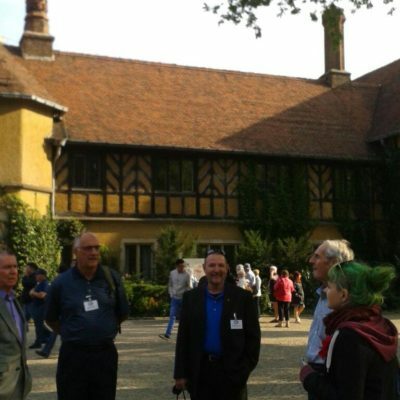 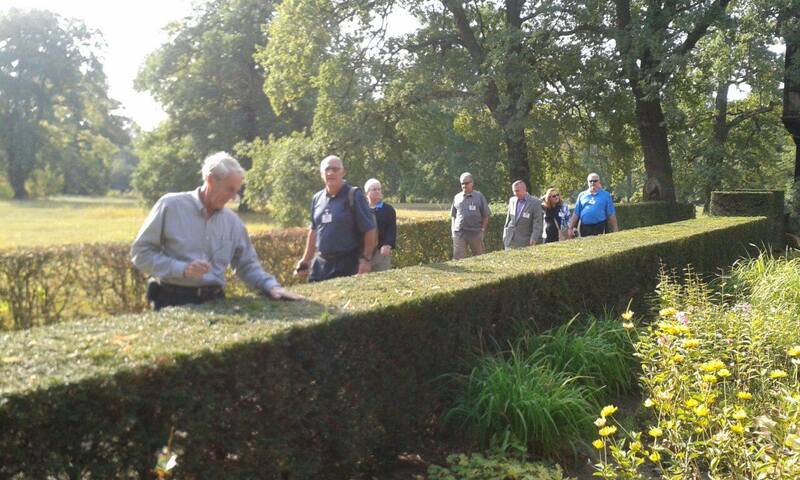 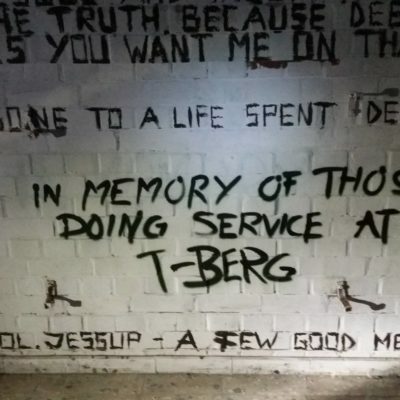 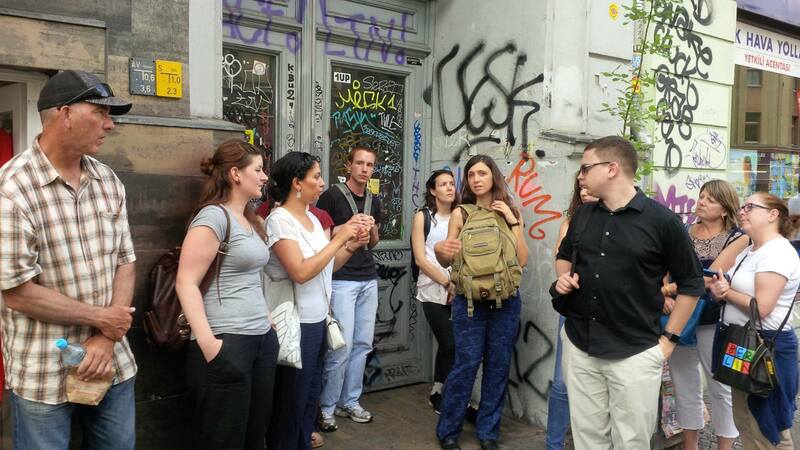 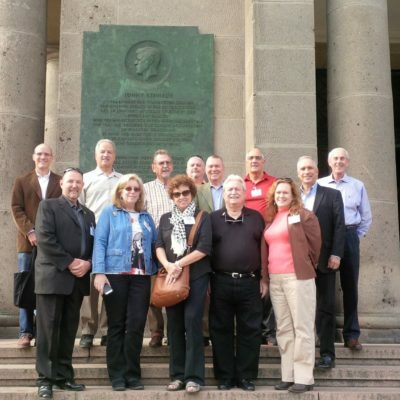 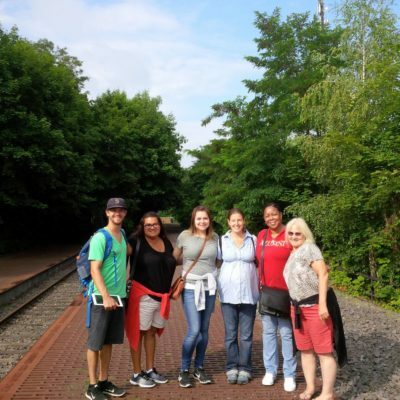 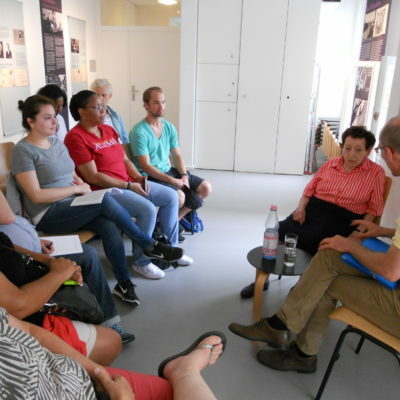 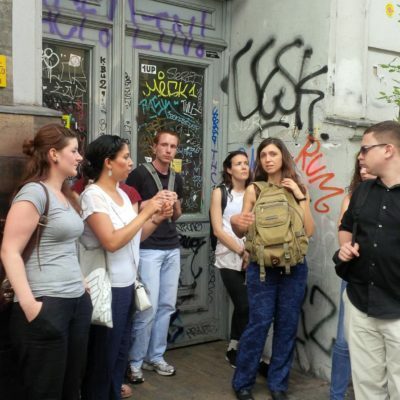 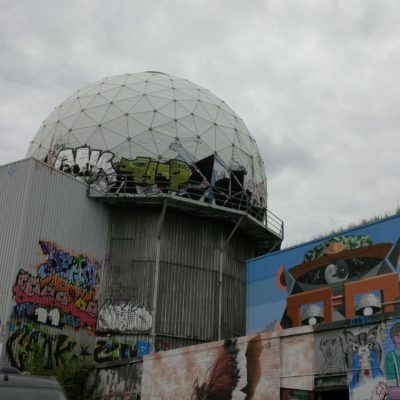 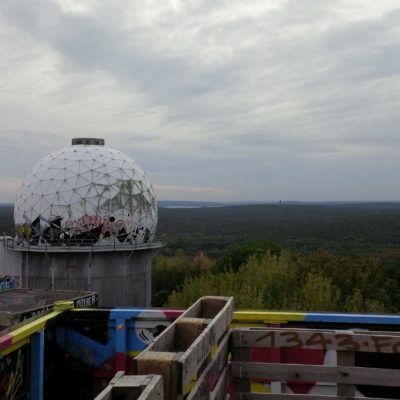 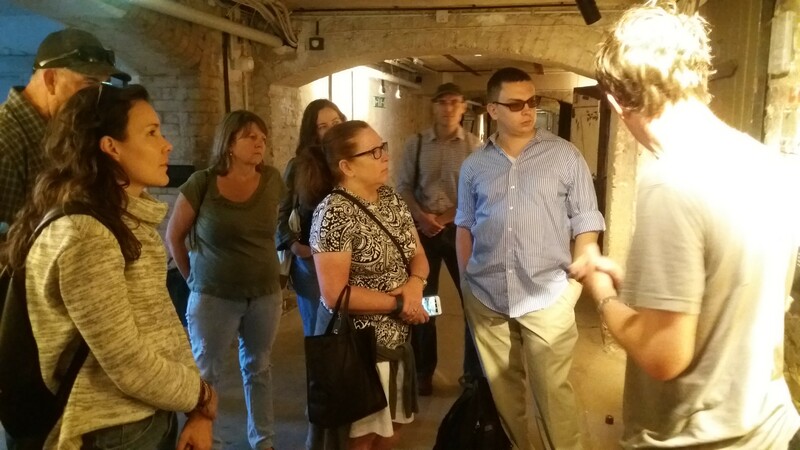 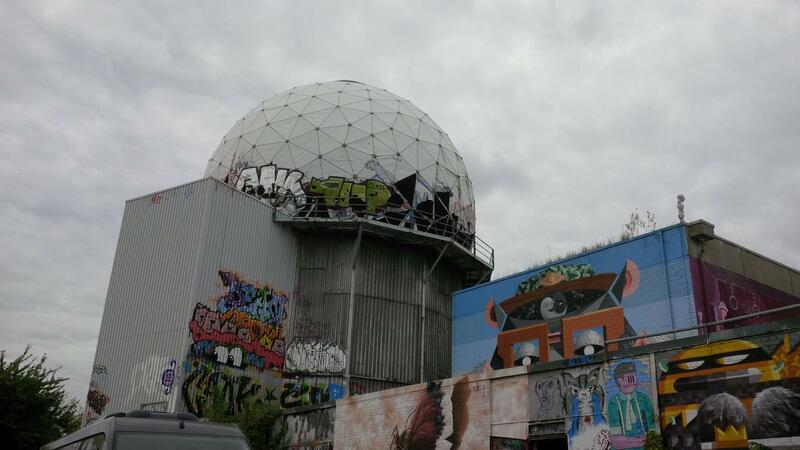 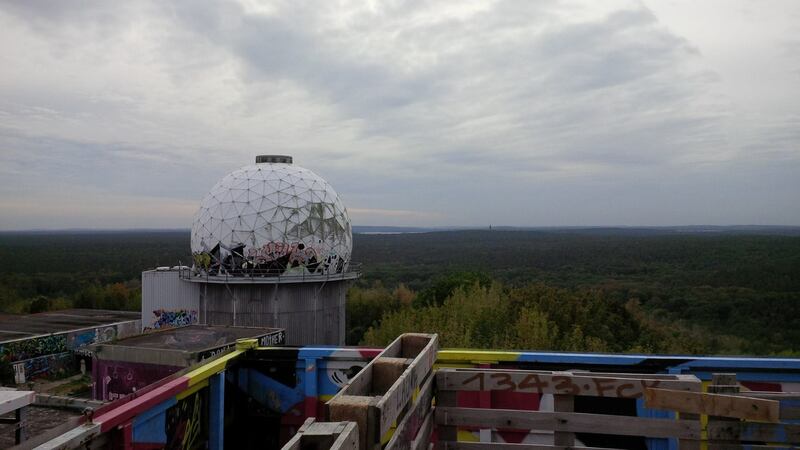 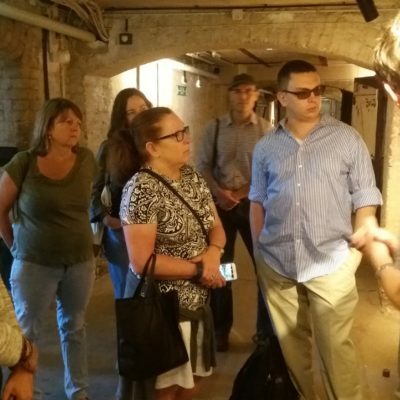 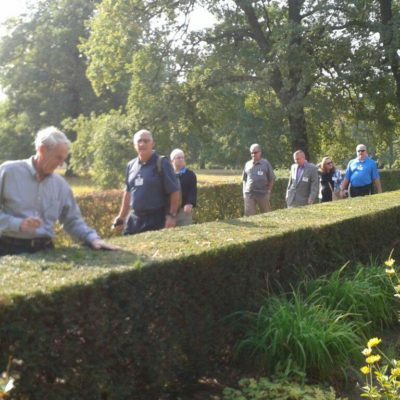 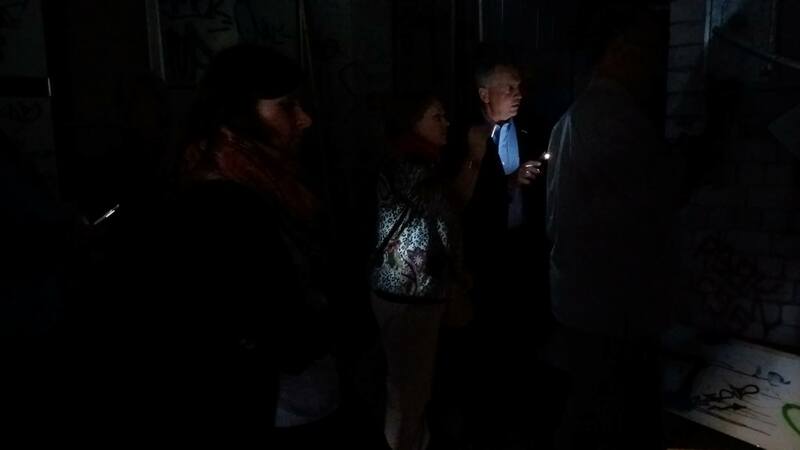 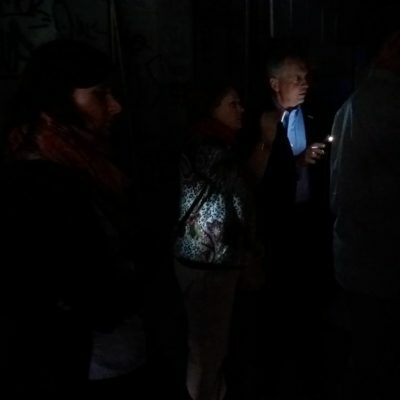 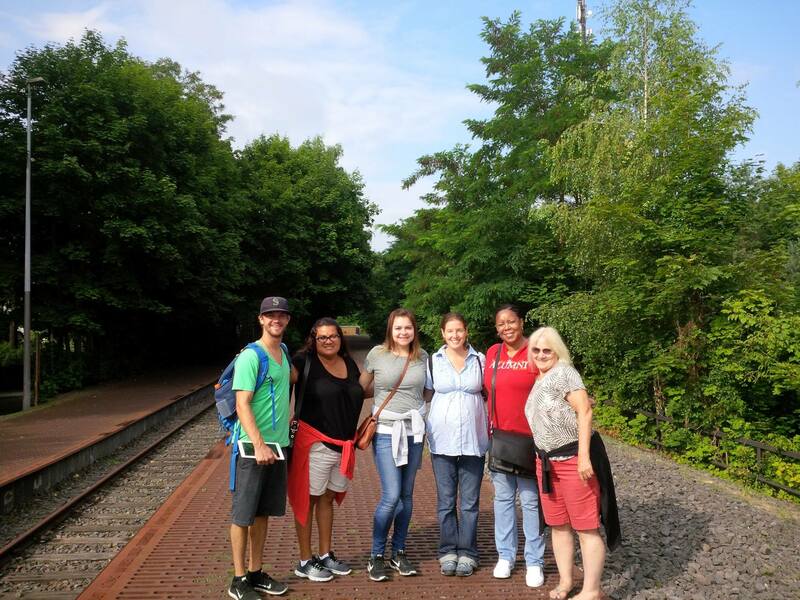 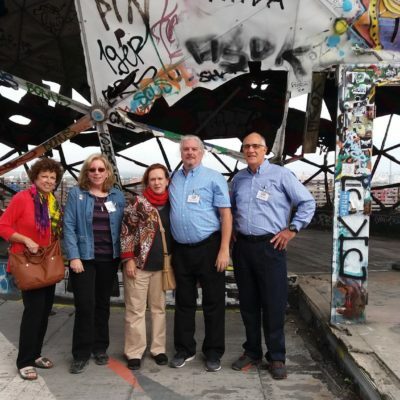 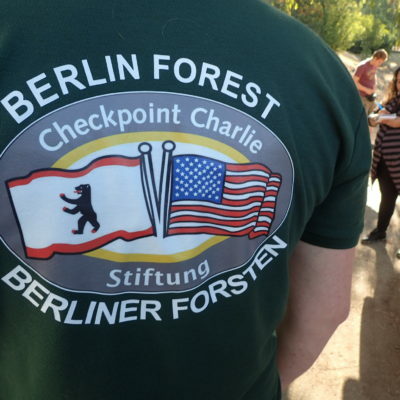 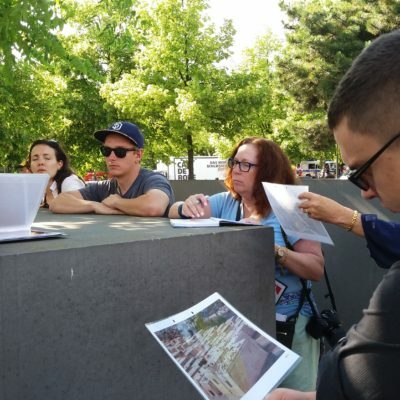 A group of up to 12 Veterans who served in Berlin visits historic sites in and around Berlin, such as Checkpoint Charlie, Tempelhof Airport, the Teufelsberg, and former U.S. barracks. 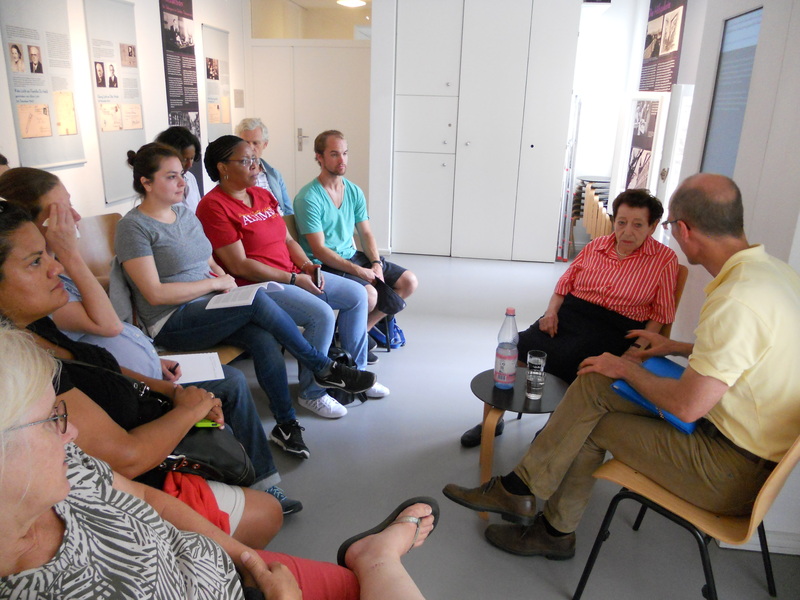 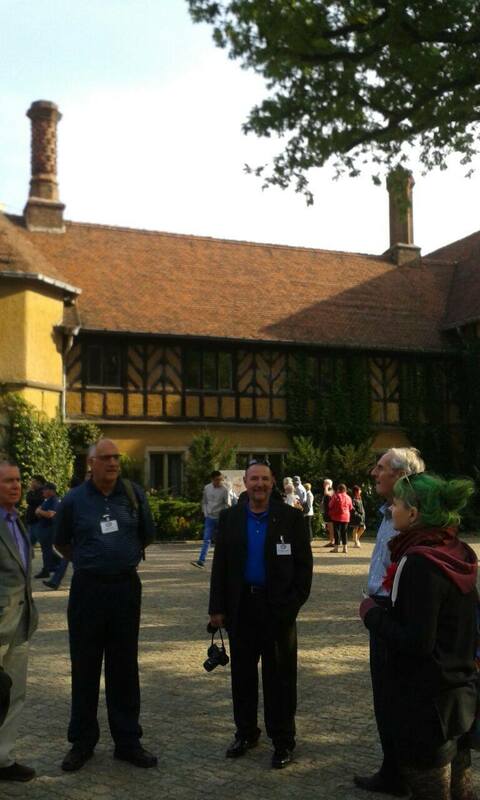 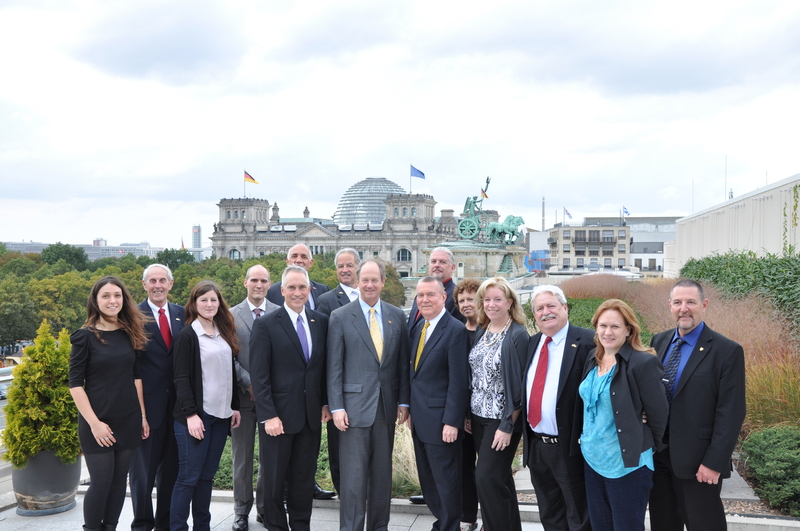 Participants also meet with school children, government officials and Bundeswehr officers. 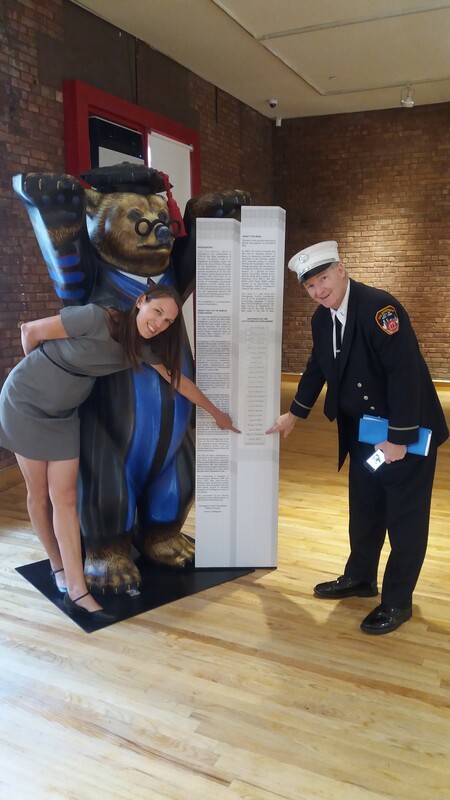 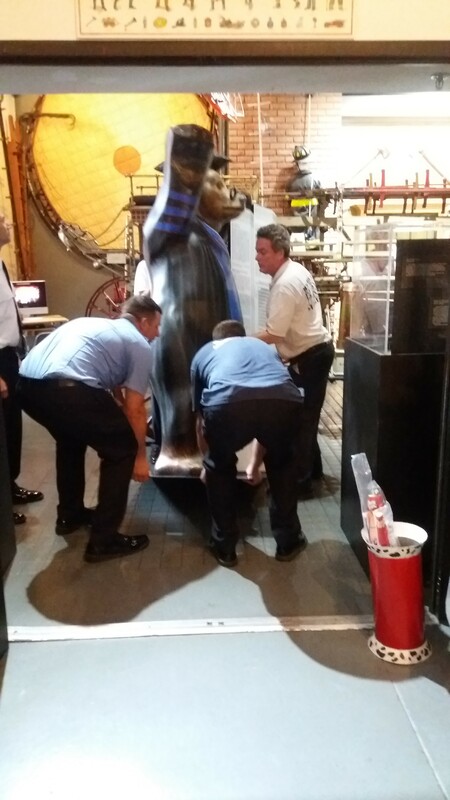 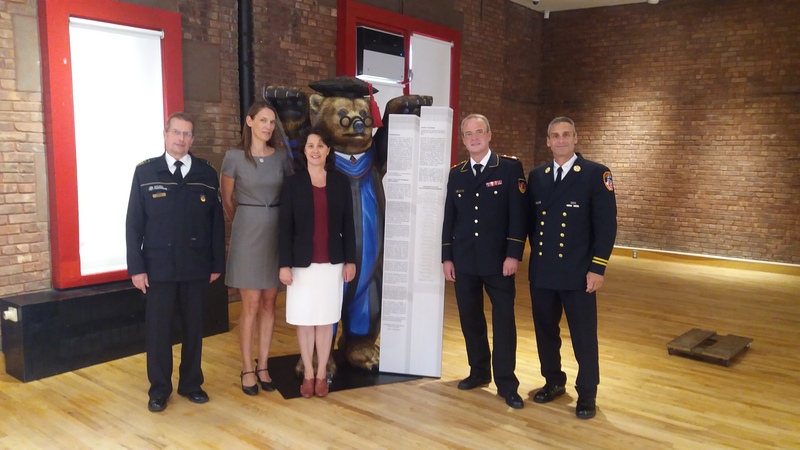 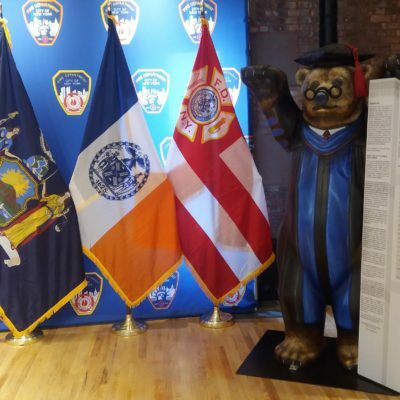 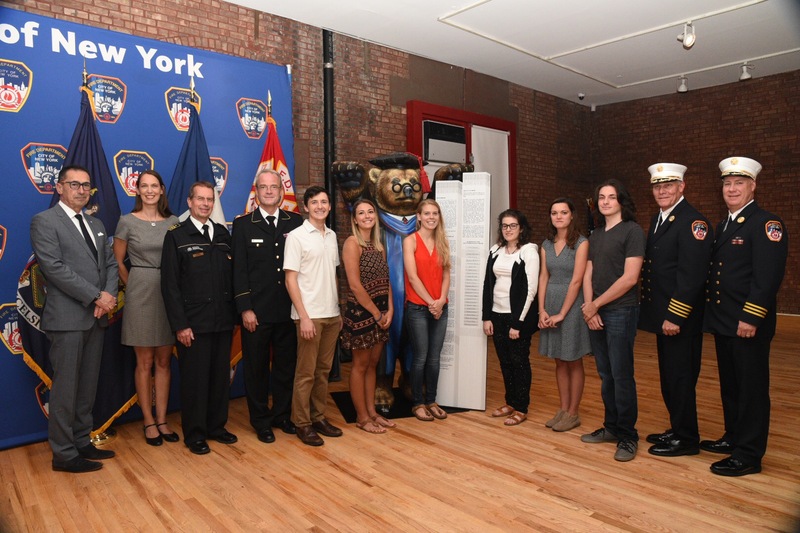 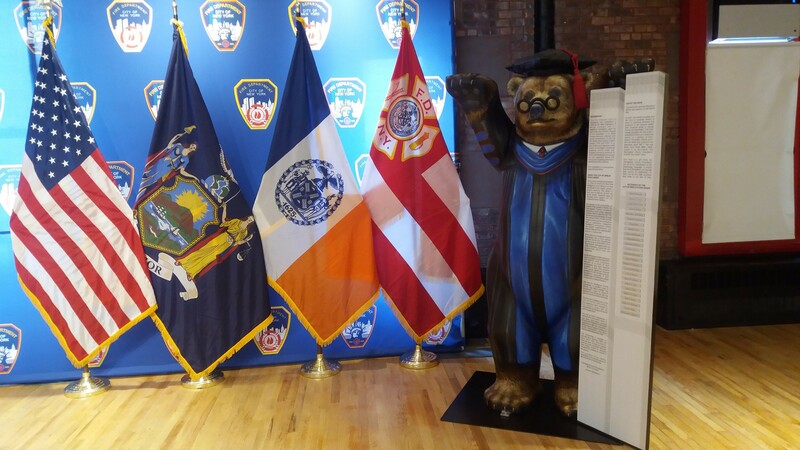 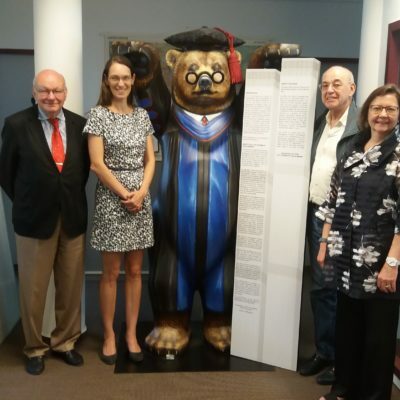 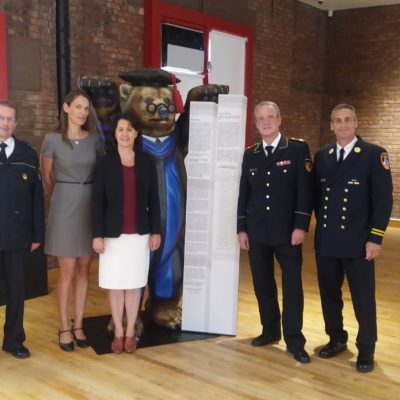 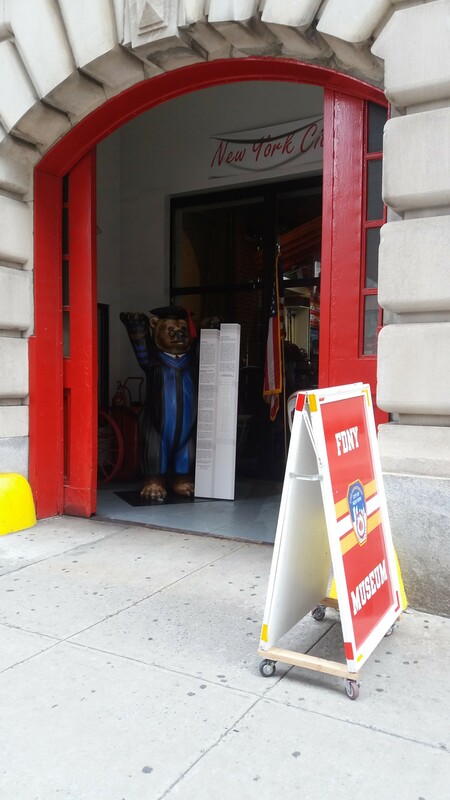 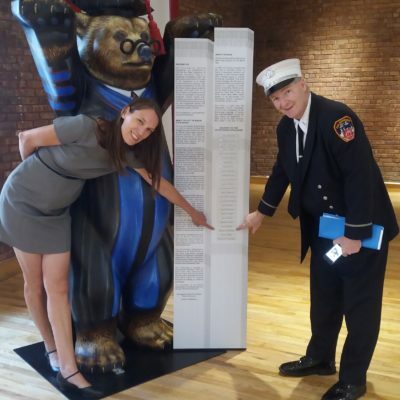 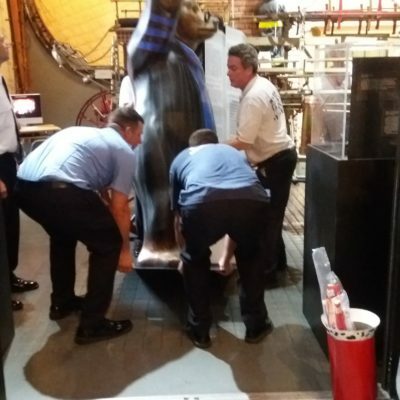 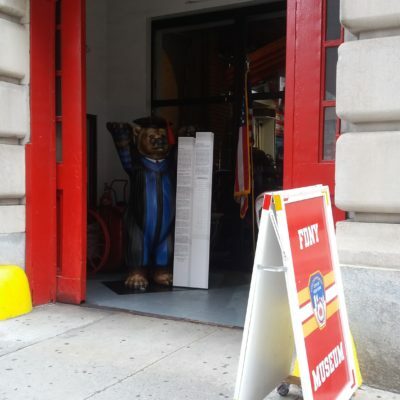 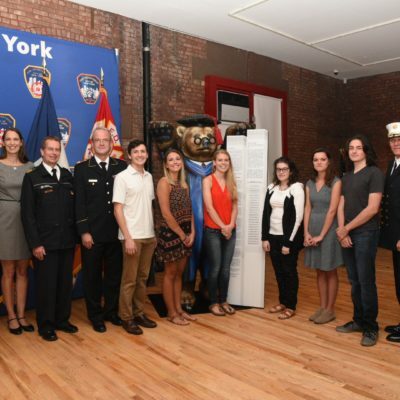 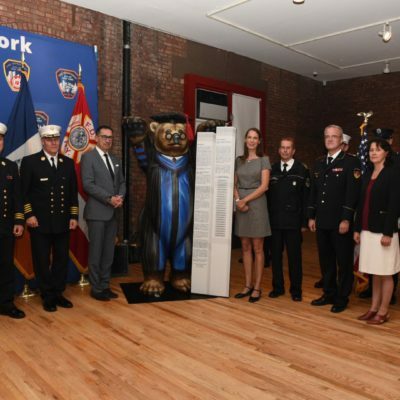 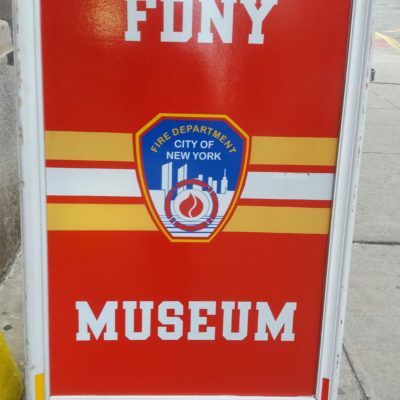 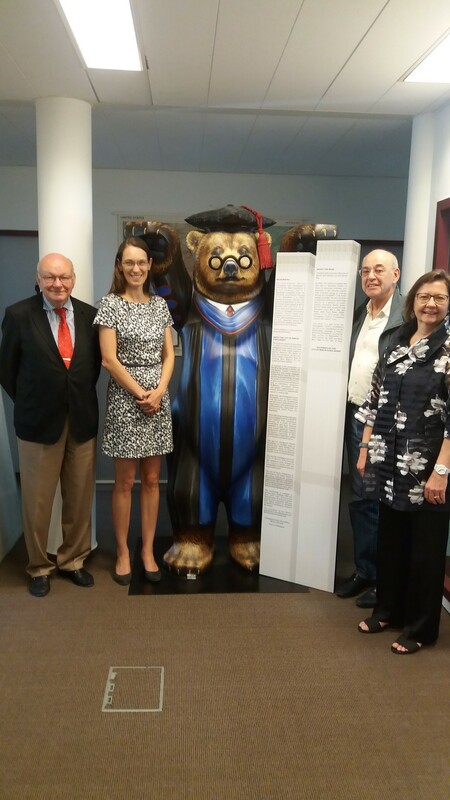 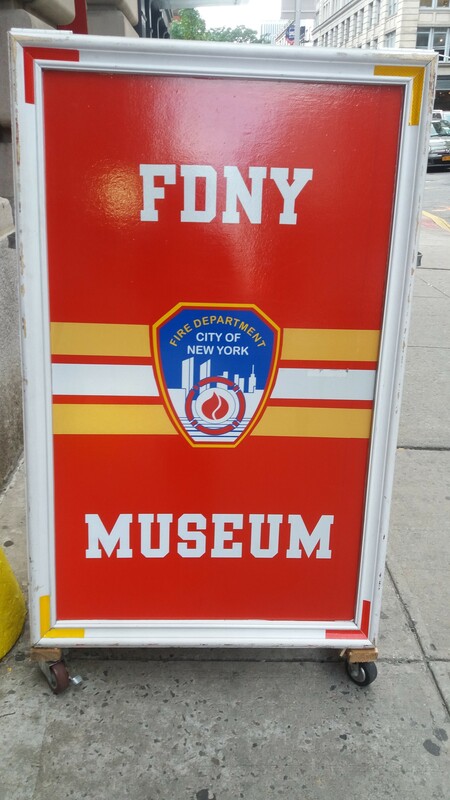 In September 2016 the Checkpoint Charlie Foundation officially turned over the City of Berlin Scholarship Buddy Bear to the New York Fire Department on the 15th anniversary of the 9-11 attacks. 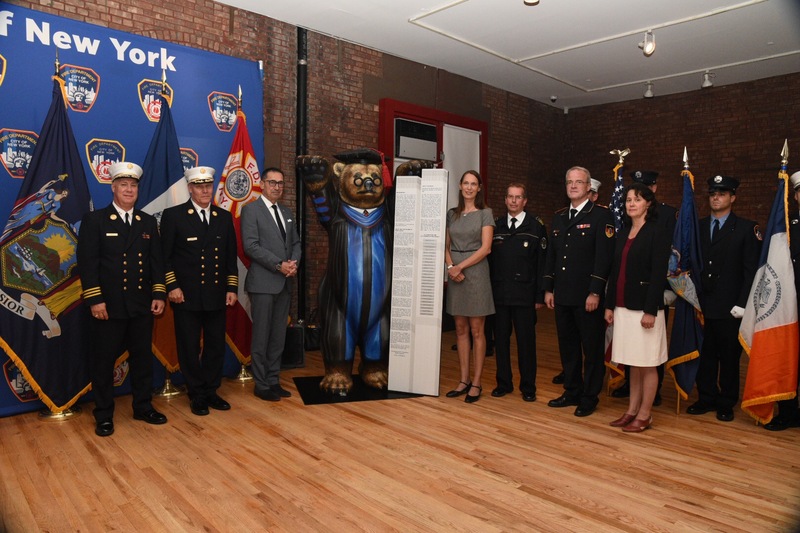 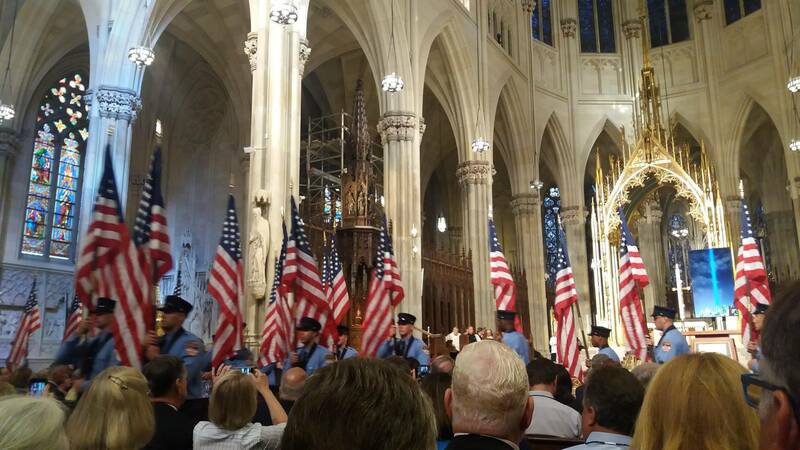 These pictures document the bear transfer ceremony as well as the memorial service to mark the 15th anniversary. 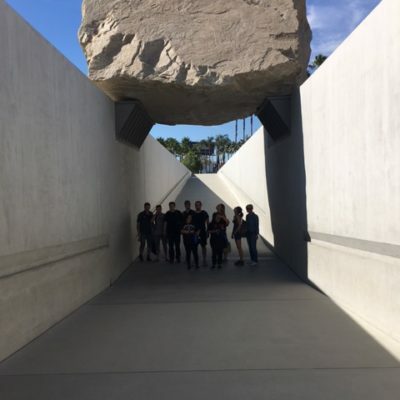 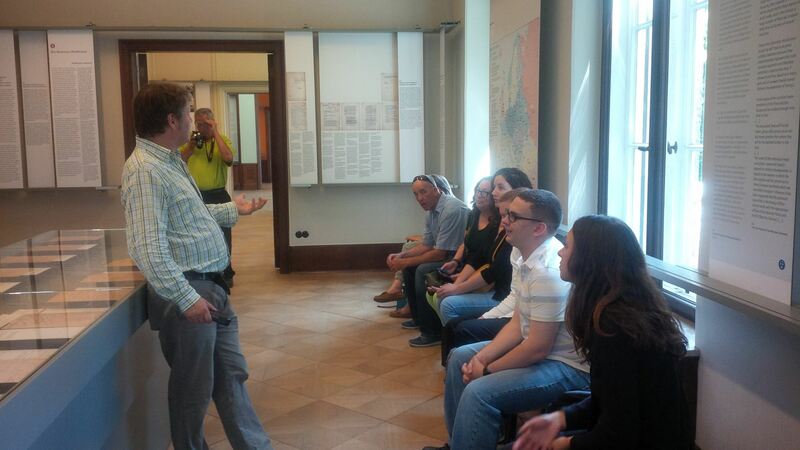 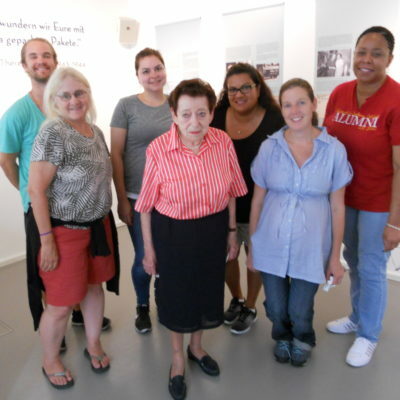 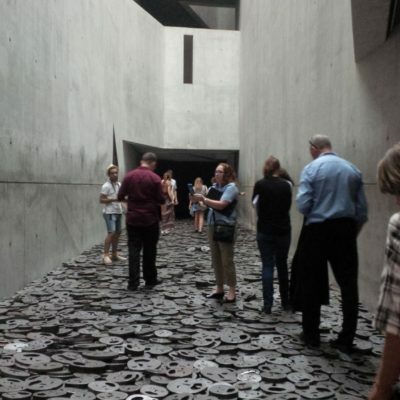 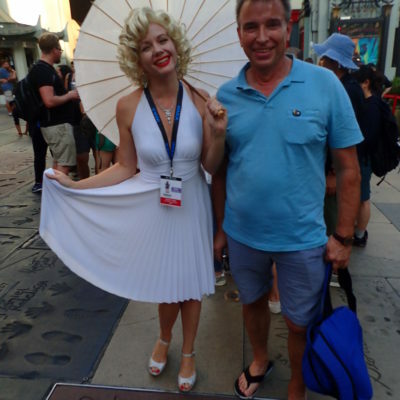 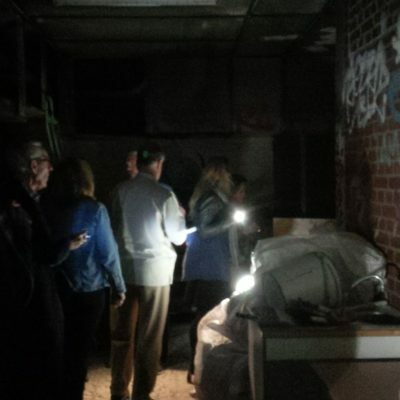 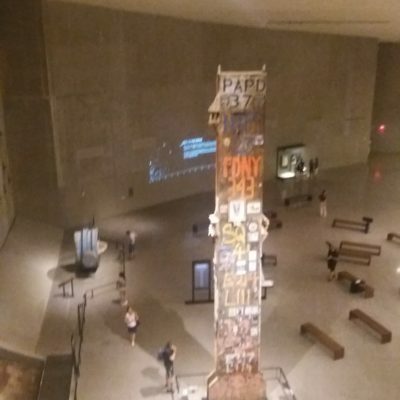 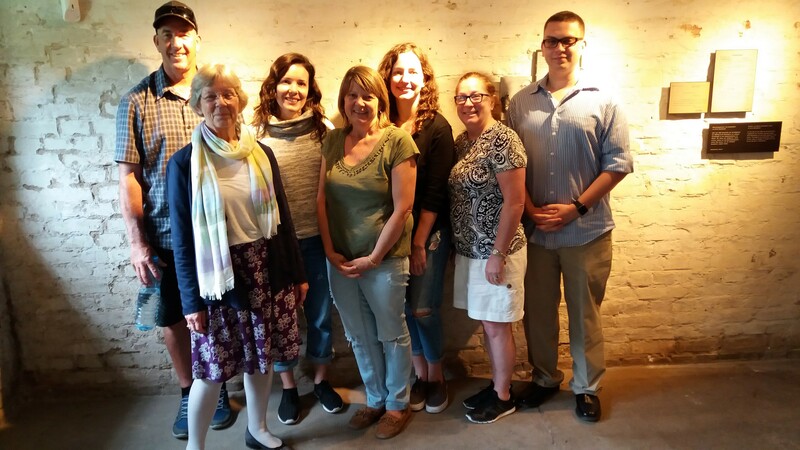 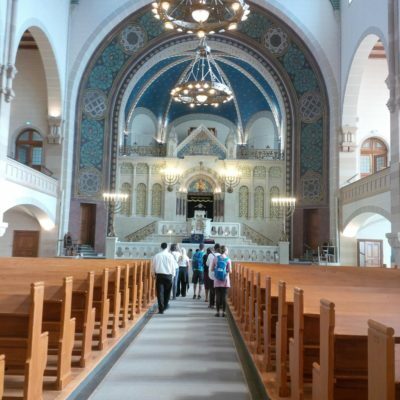 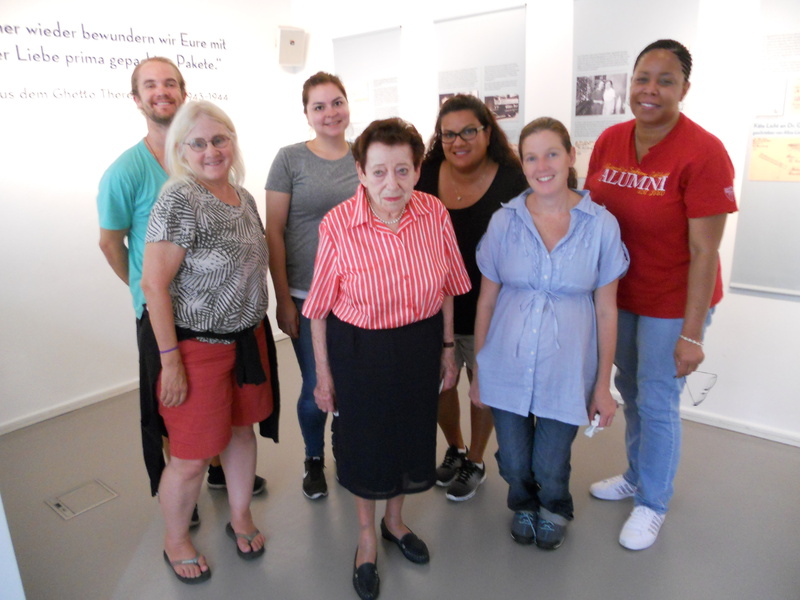 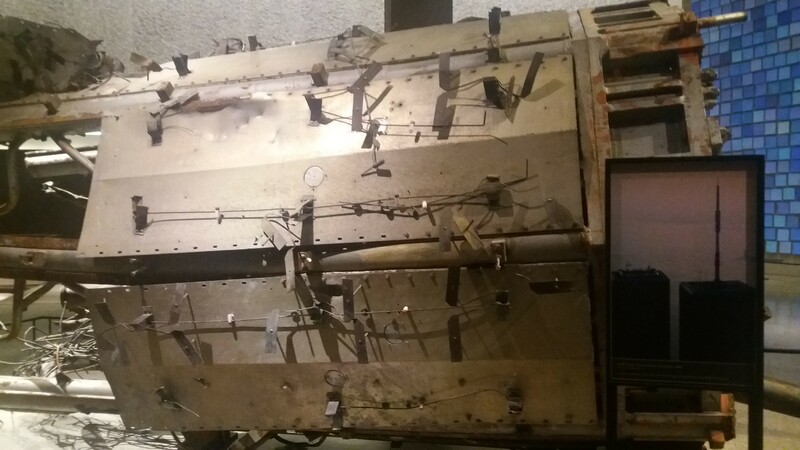 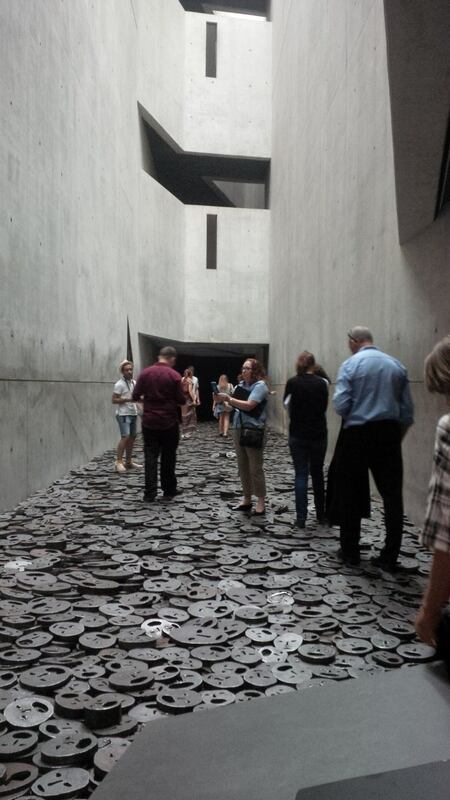 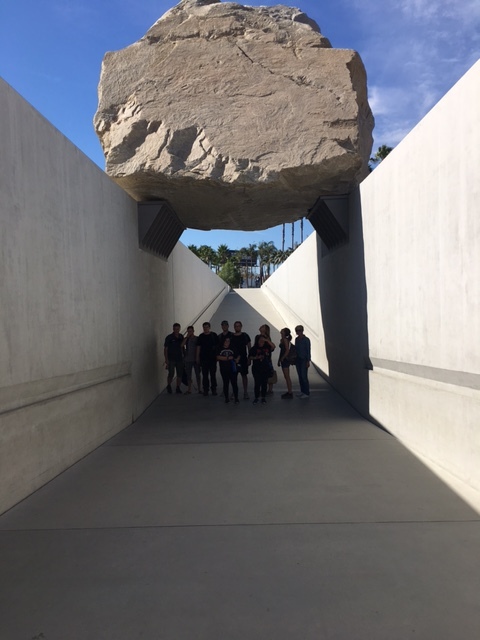 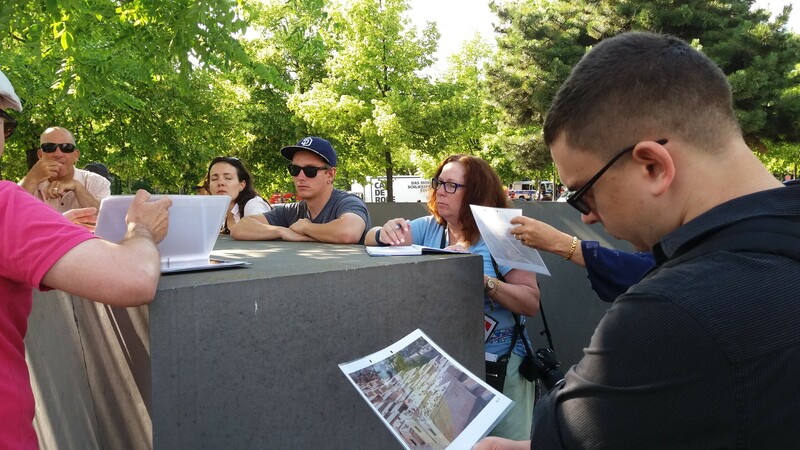 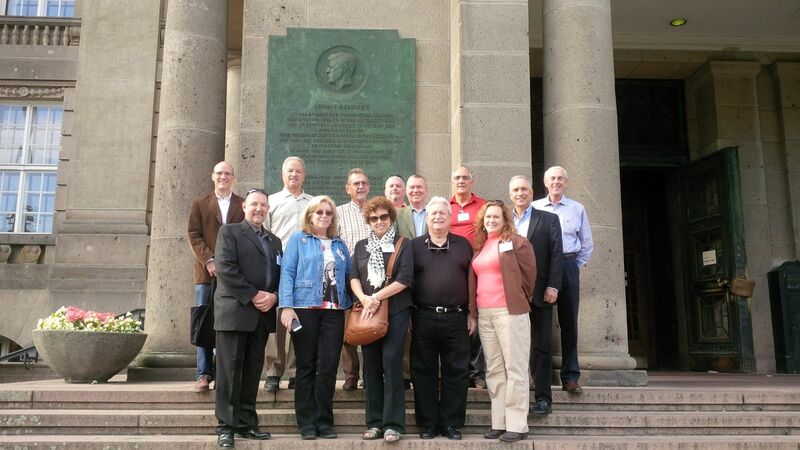 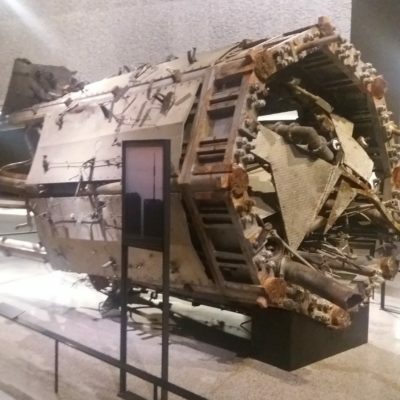 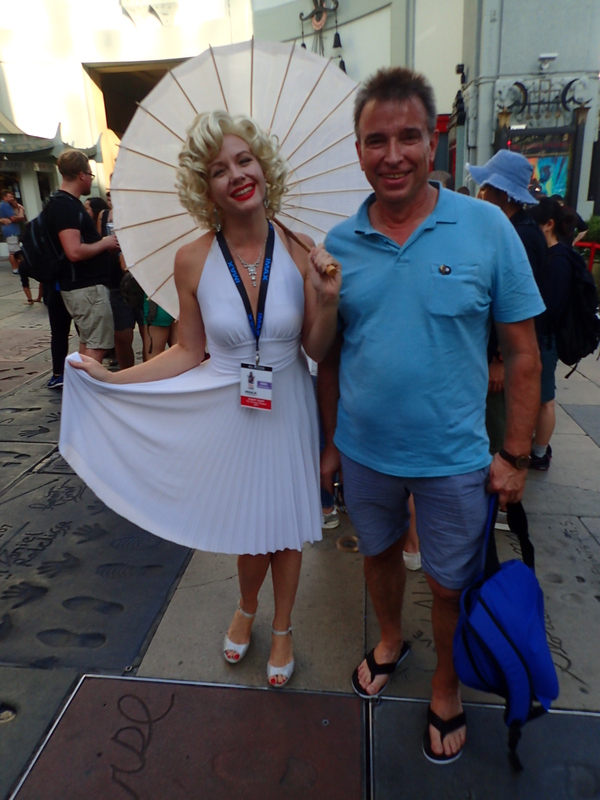 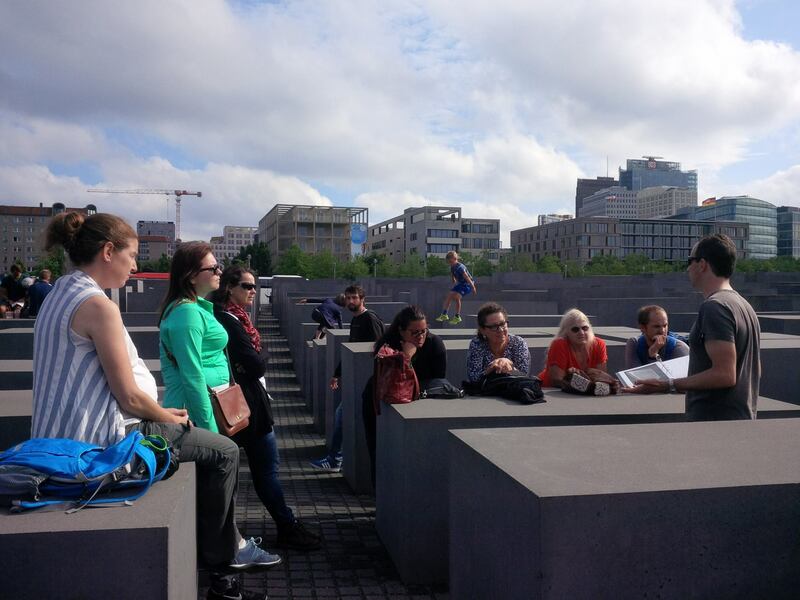 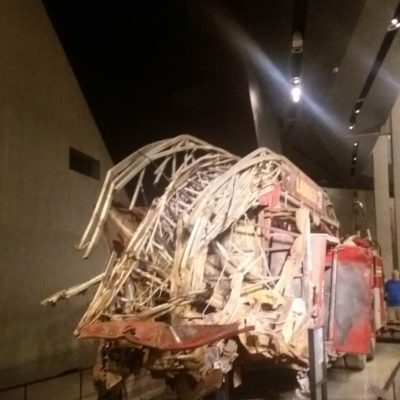 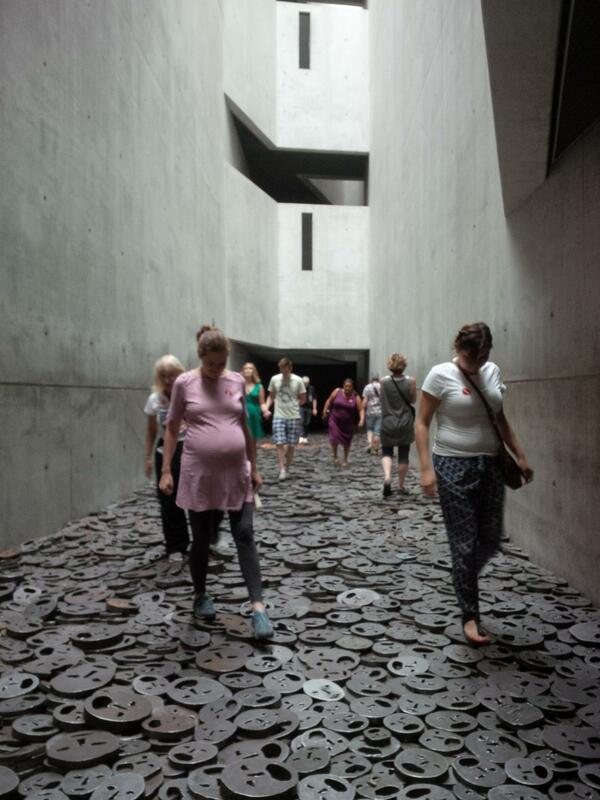 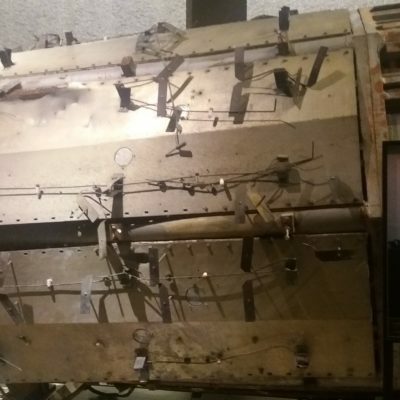 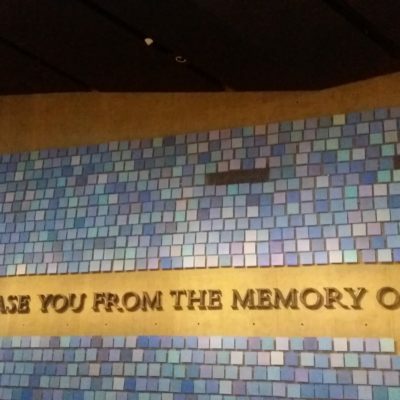 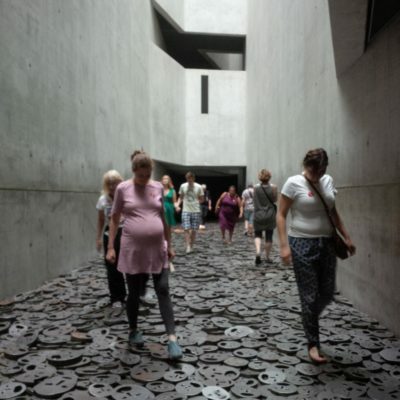 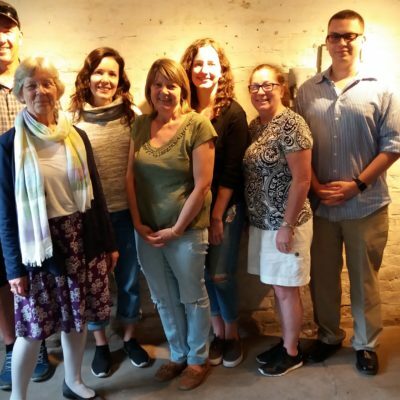 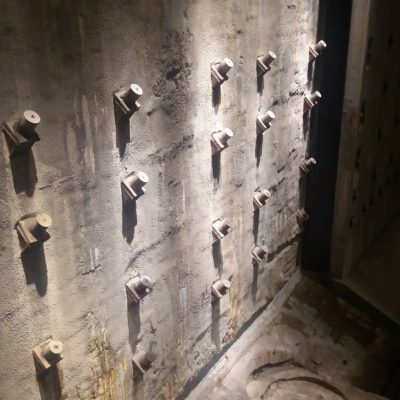 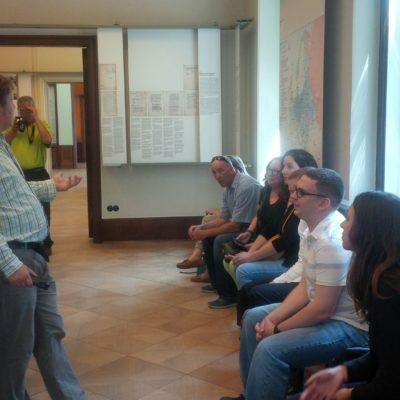 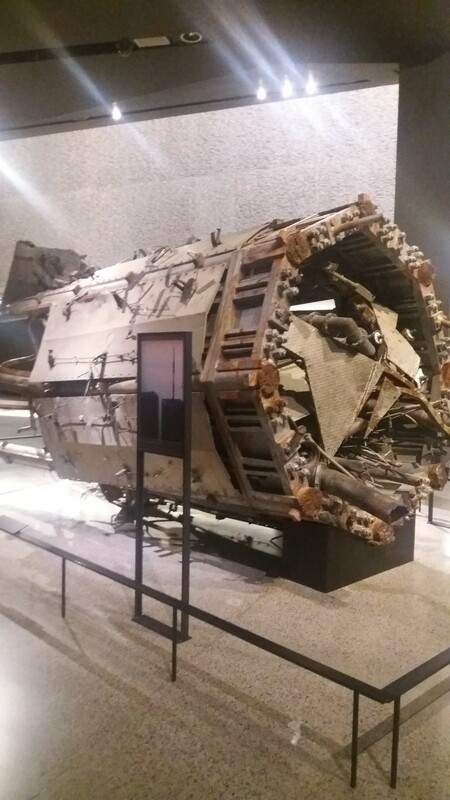 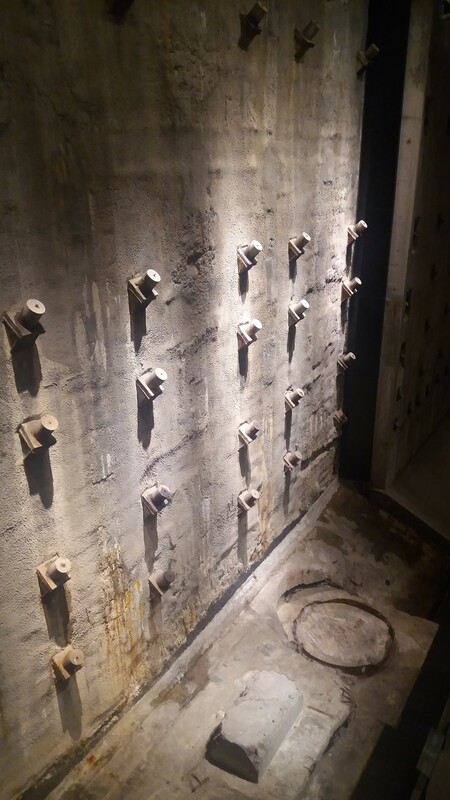 This one-week study tour in July of each year is designed for Los Angeles area school teachers and other multipliers in the field of education to gain insight into many of the historical, social, religious, political, and economic factors that cumulatively resulted in the Holocaust. 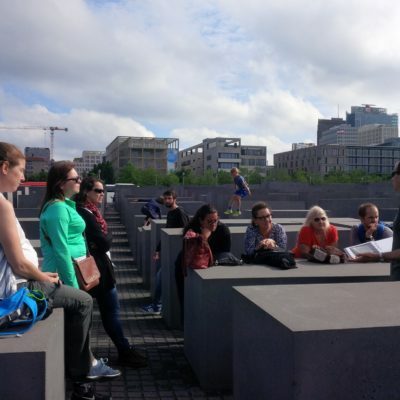 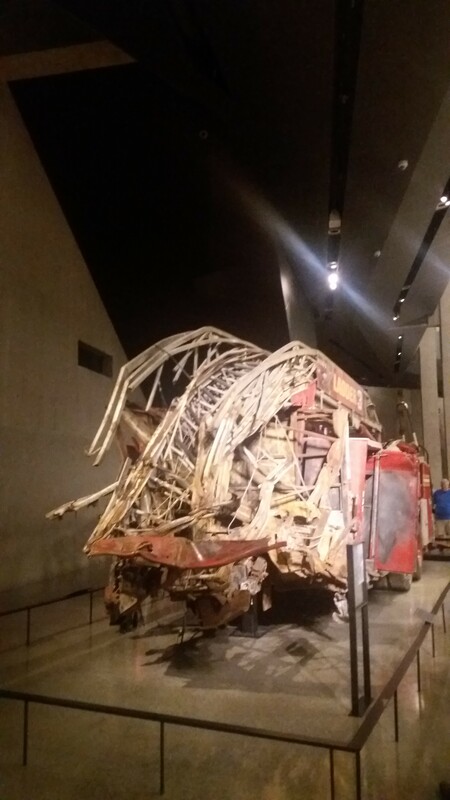 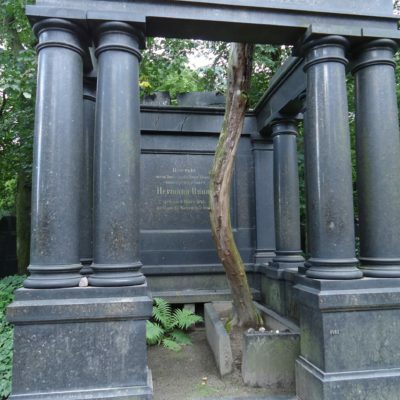 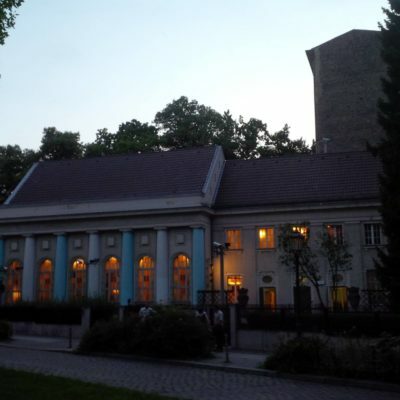 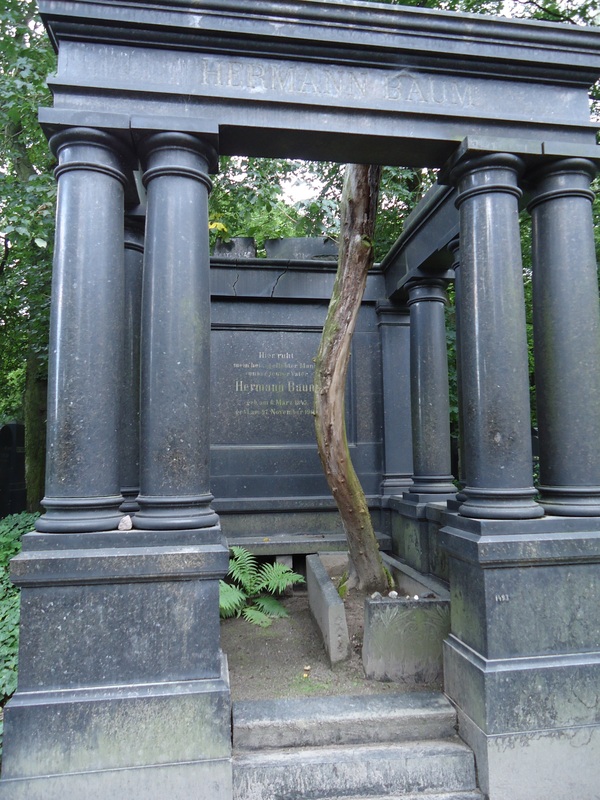 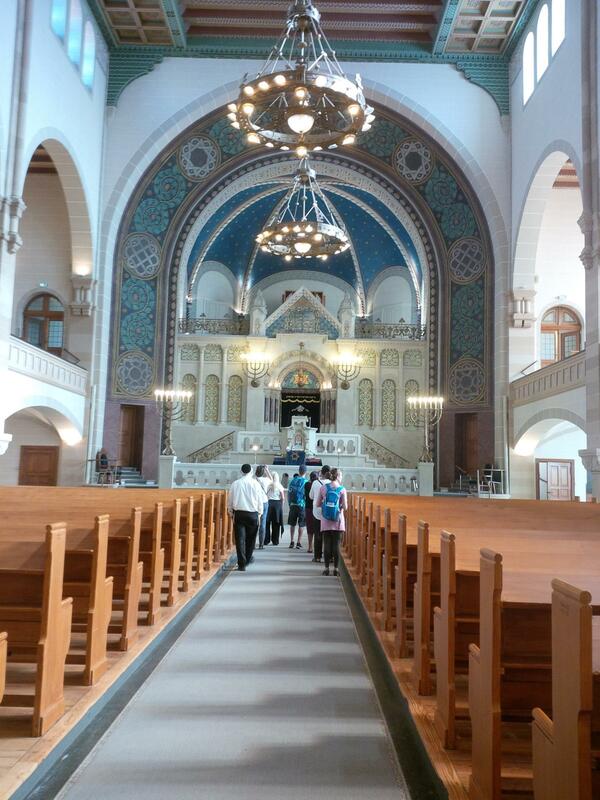 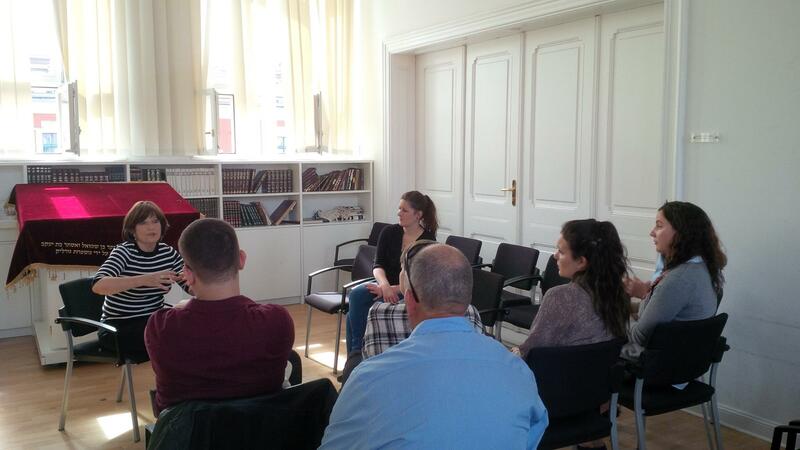 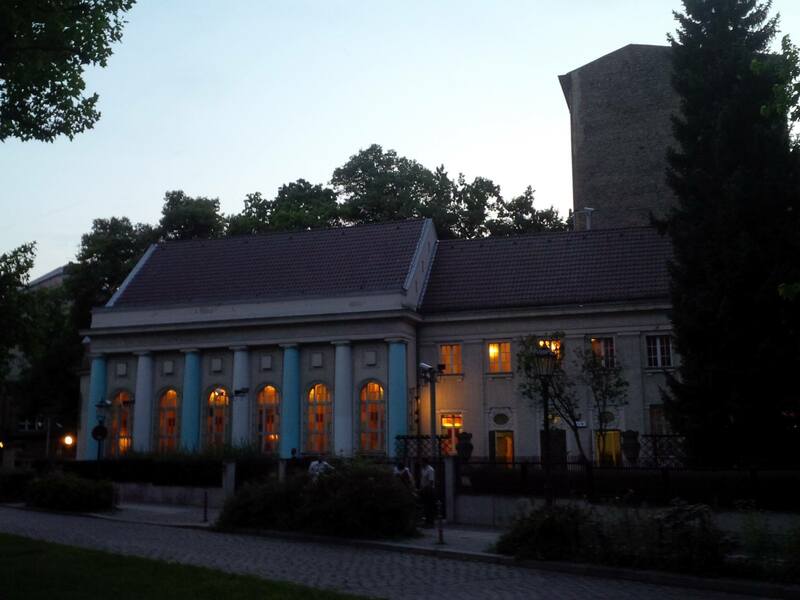 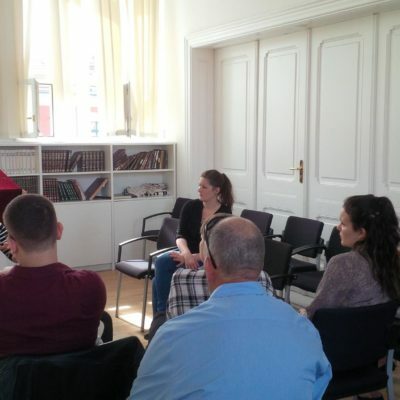 It includes educational visits to historic sites in and around Berlin that played an important role in the history of the Holocaust and the Third Reich with the participation of eyewitnesses and survivors, as well as representatives of the Berlin city government and distinguished members of the Berlin-Jewish community.